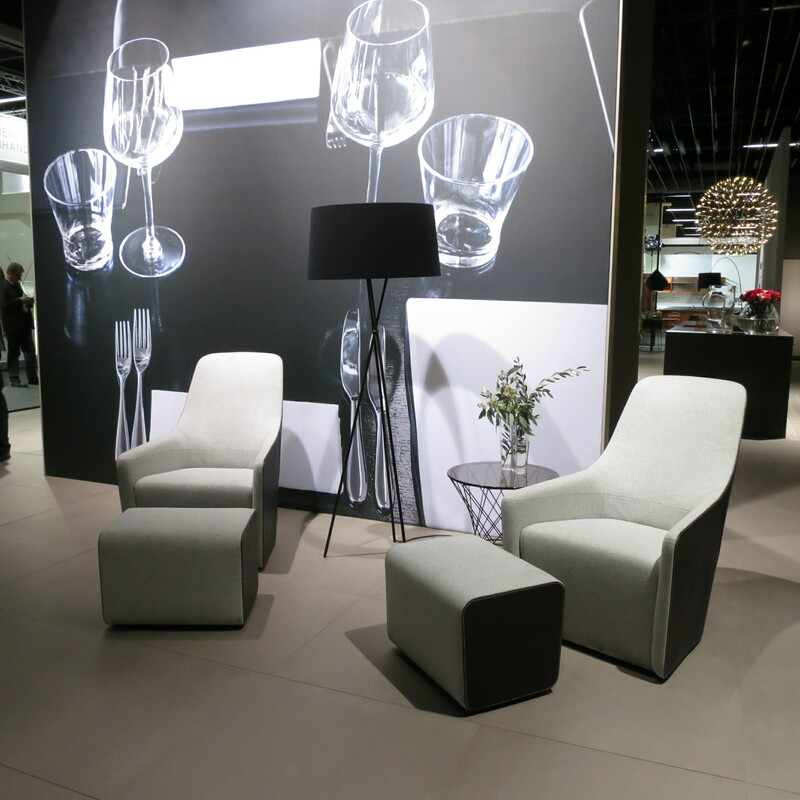 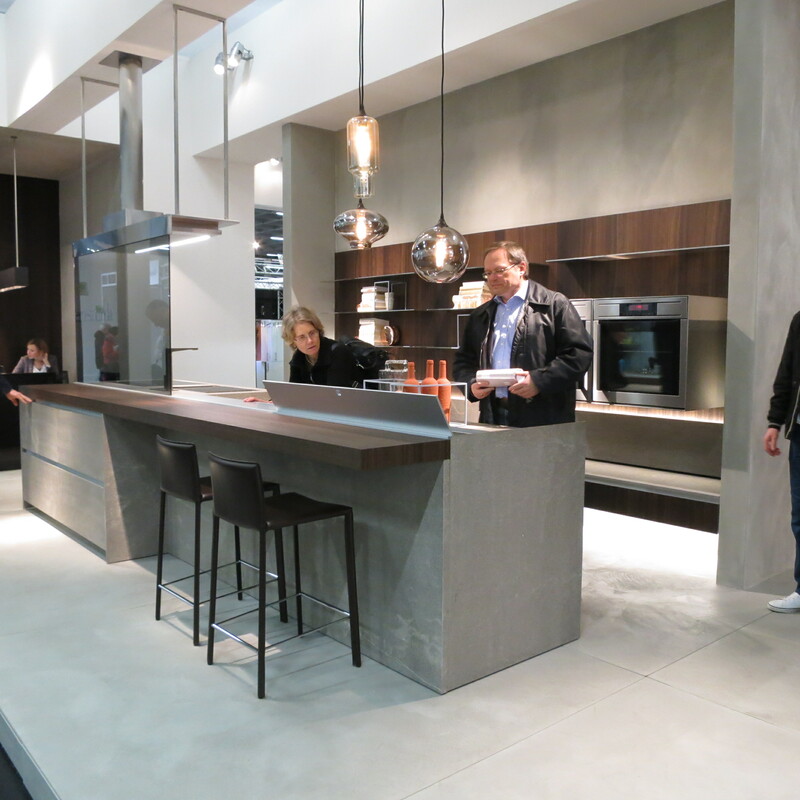 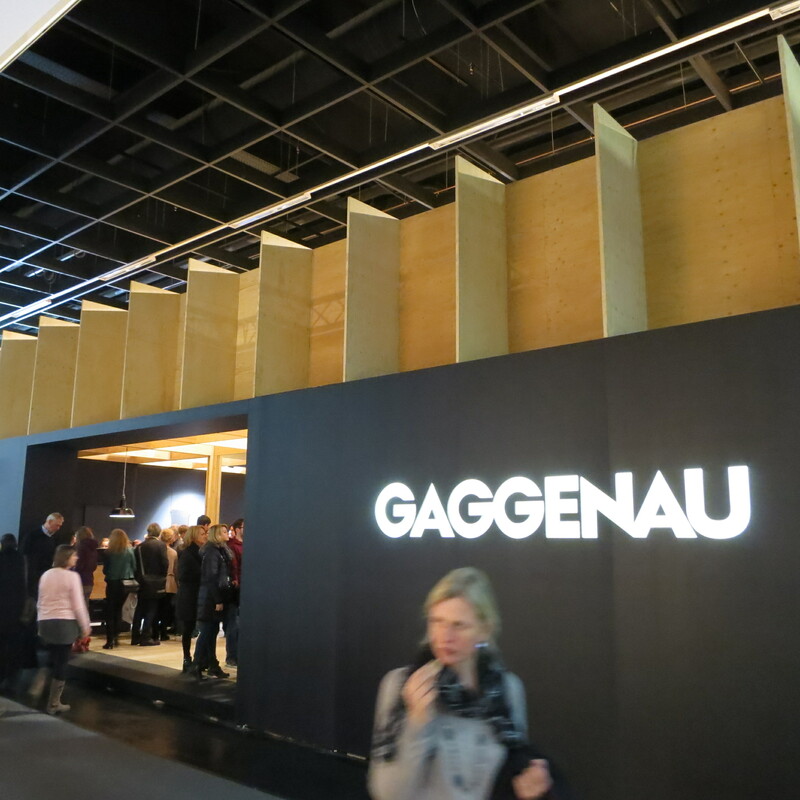 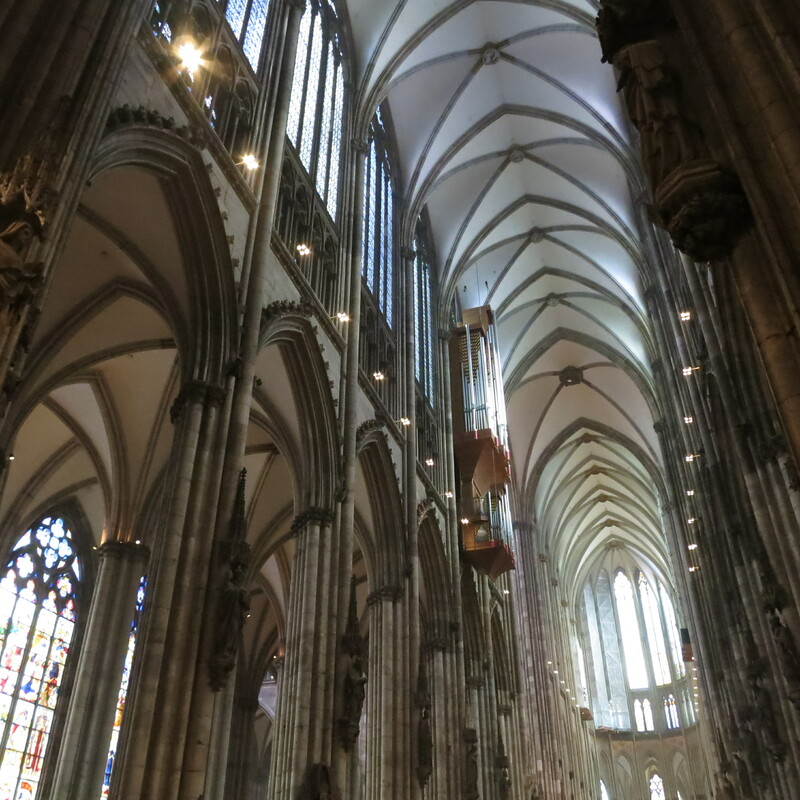 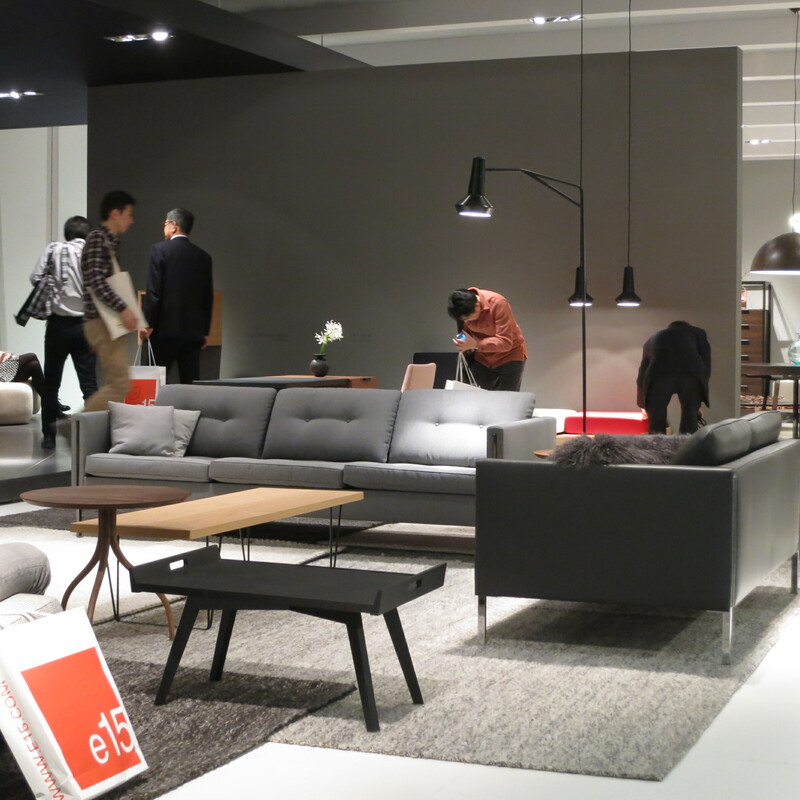 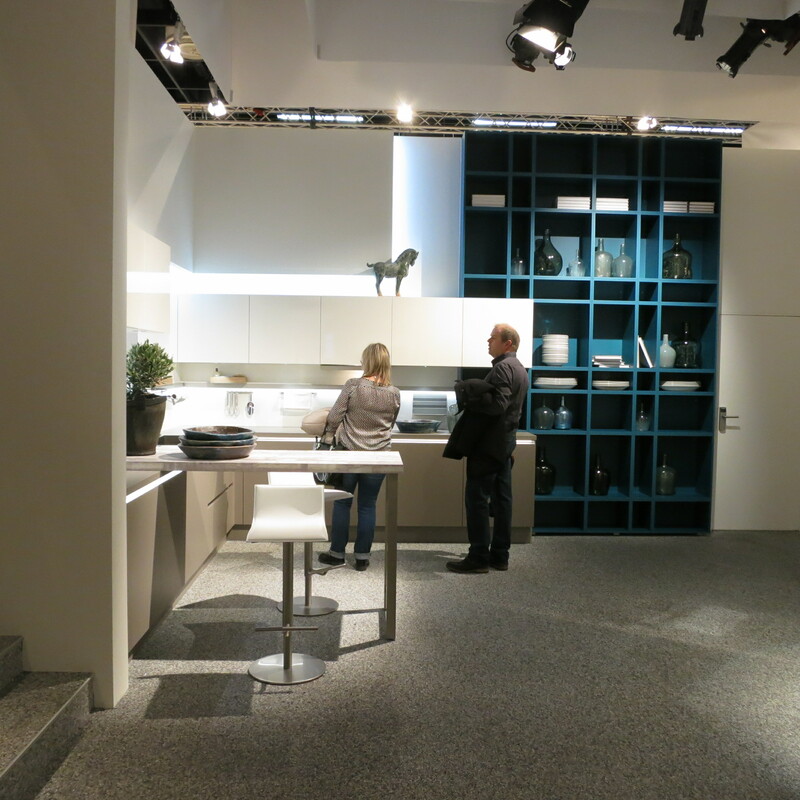 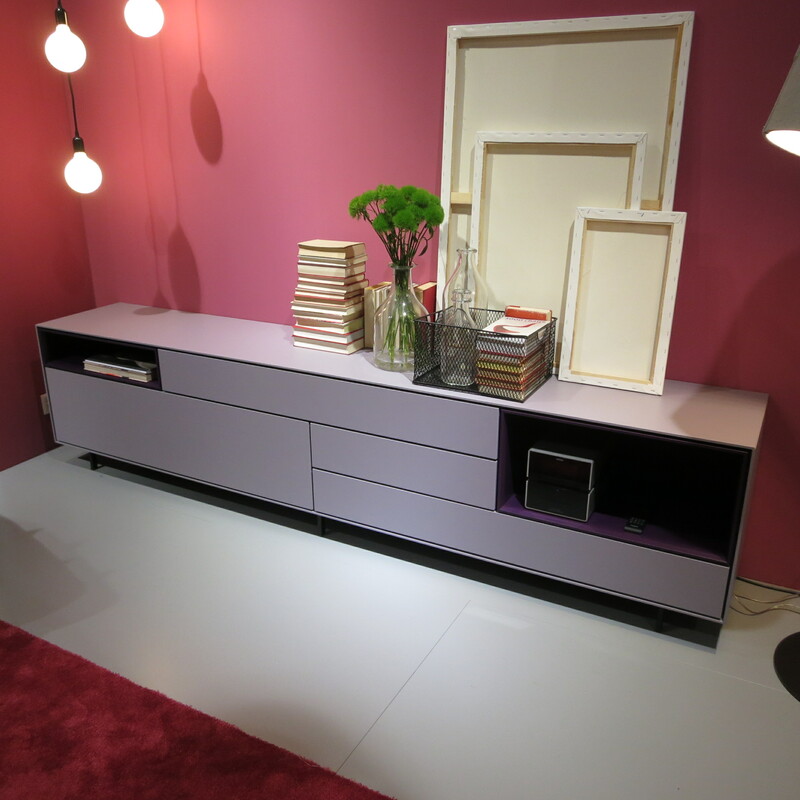 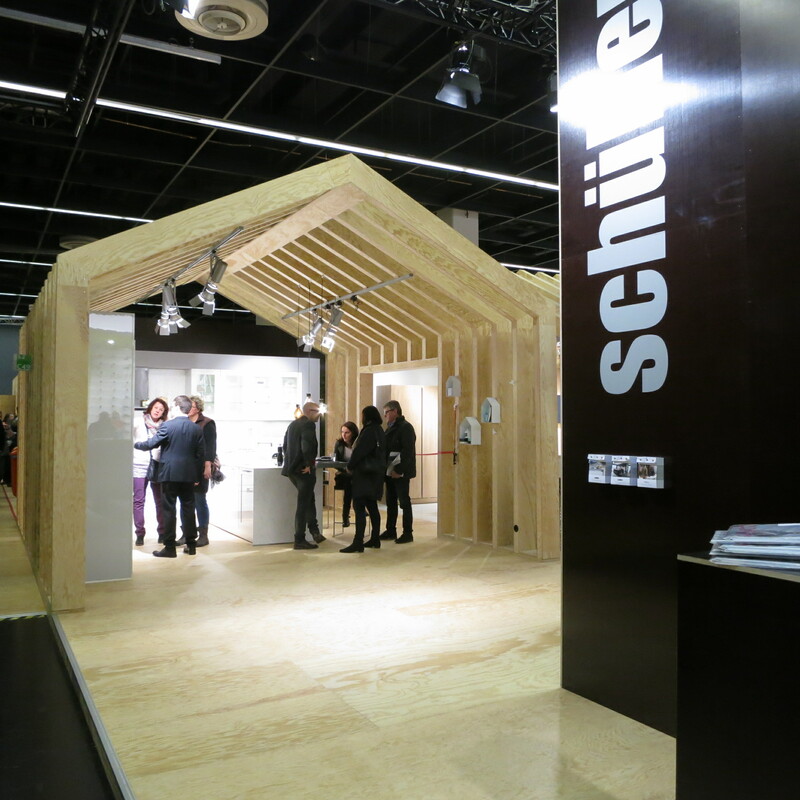 I ventured over to Europe for the IMM this year – International Mobile Messe – in Cologne Germany. 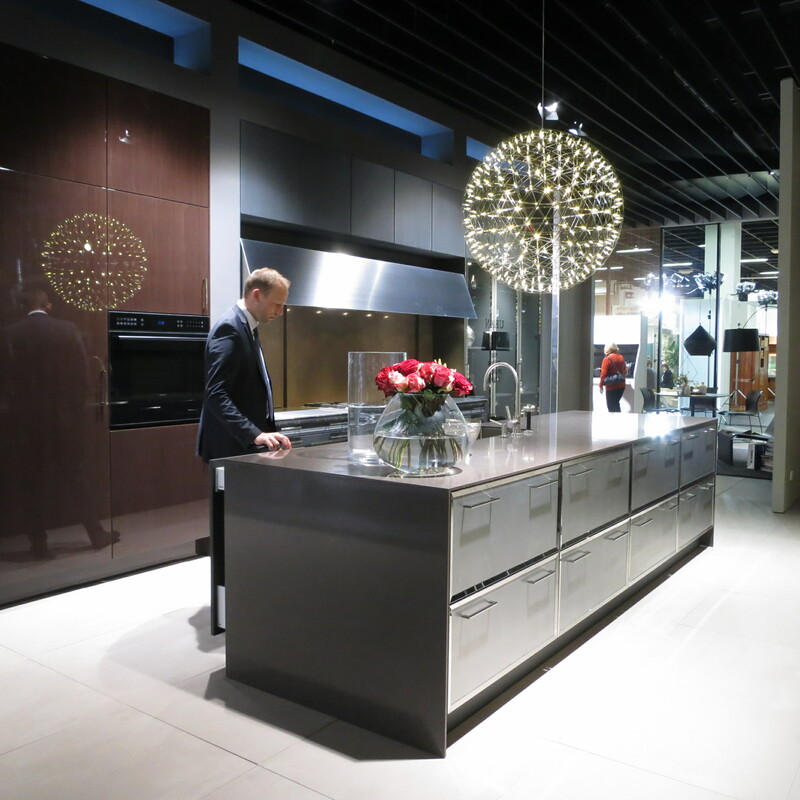 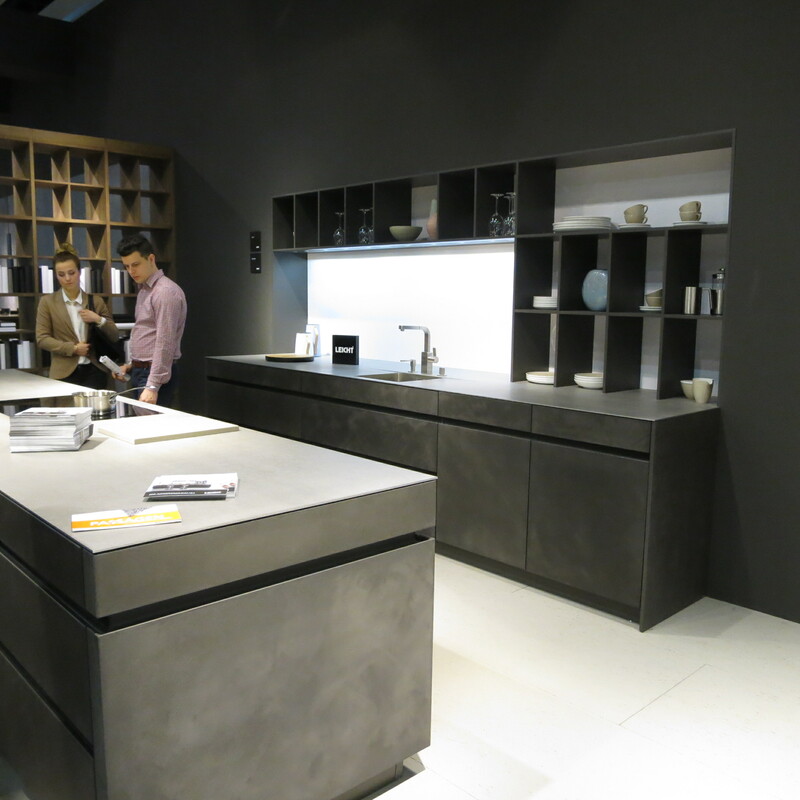 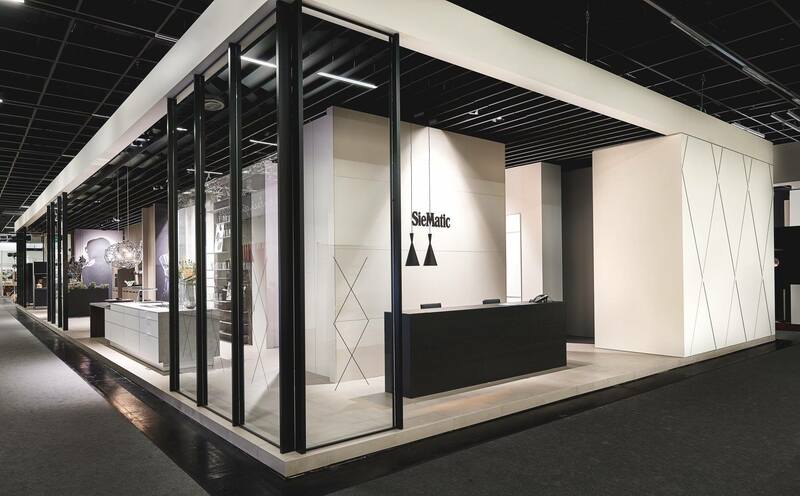 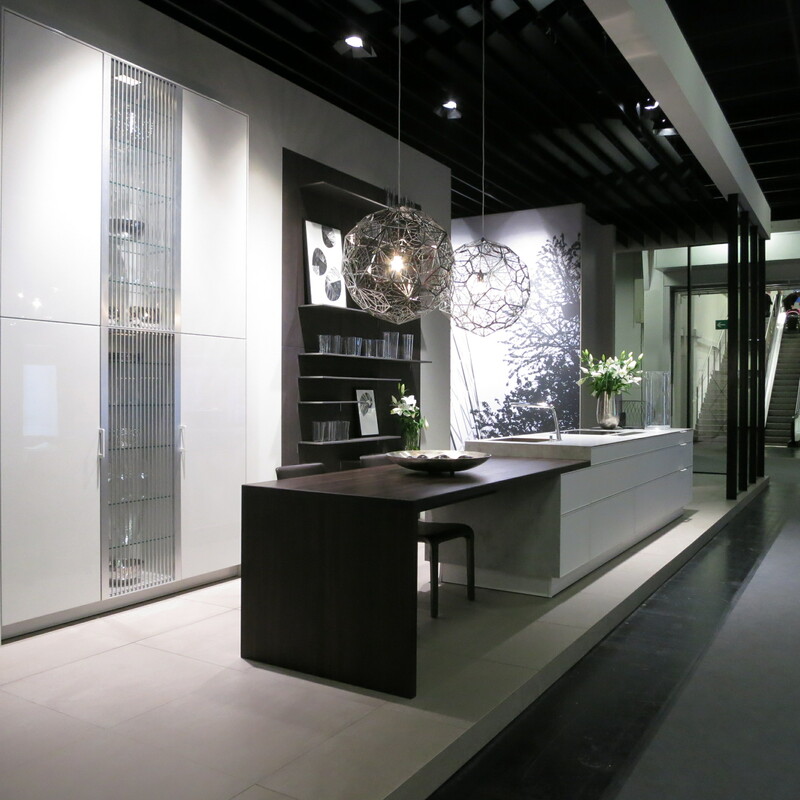 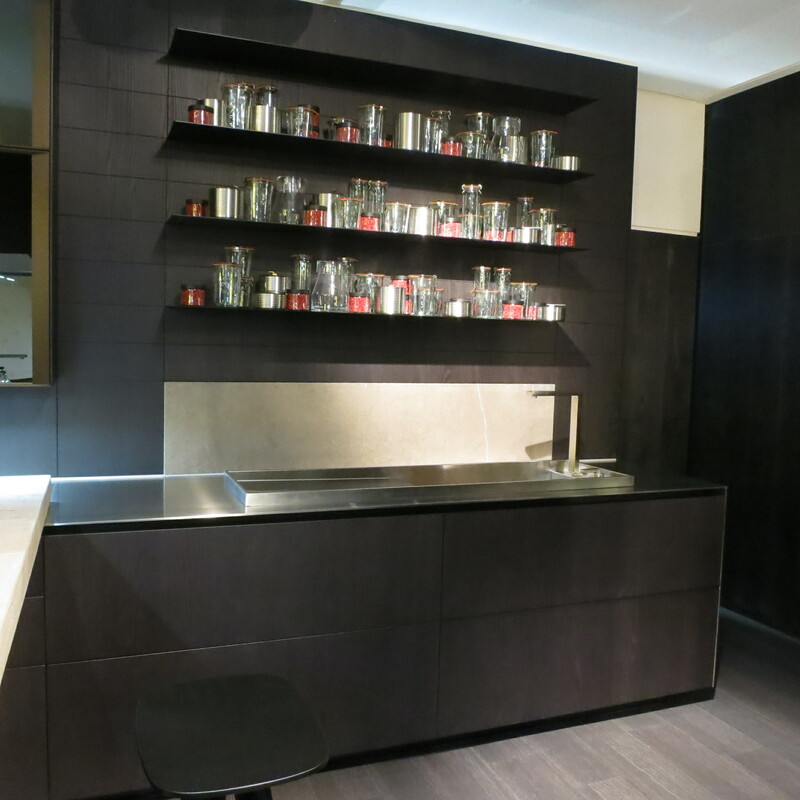 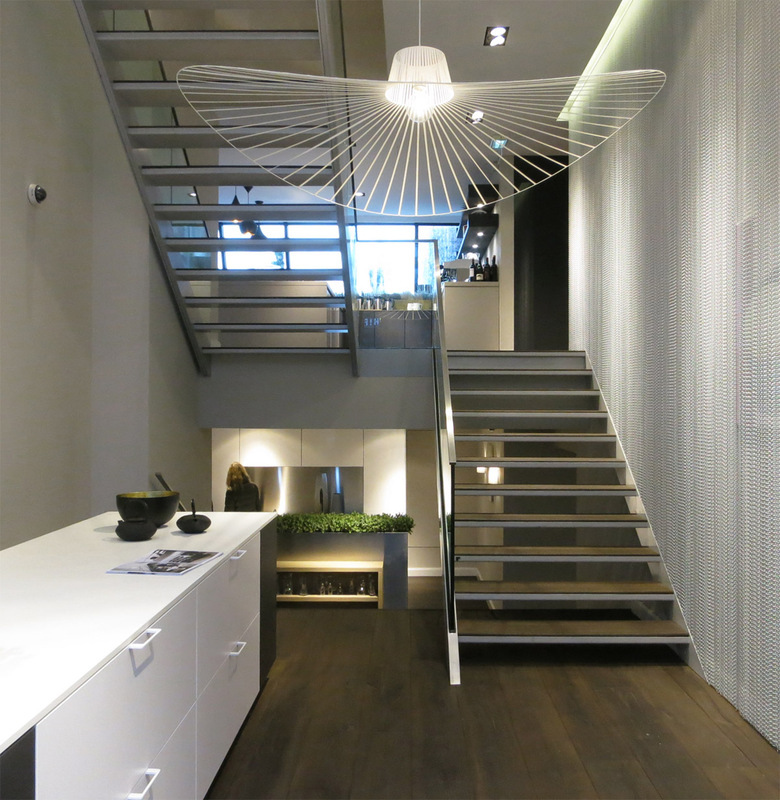 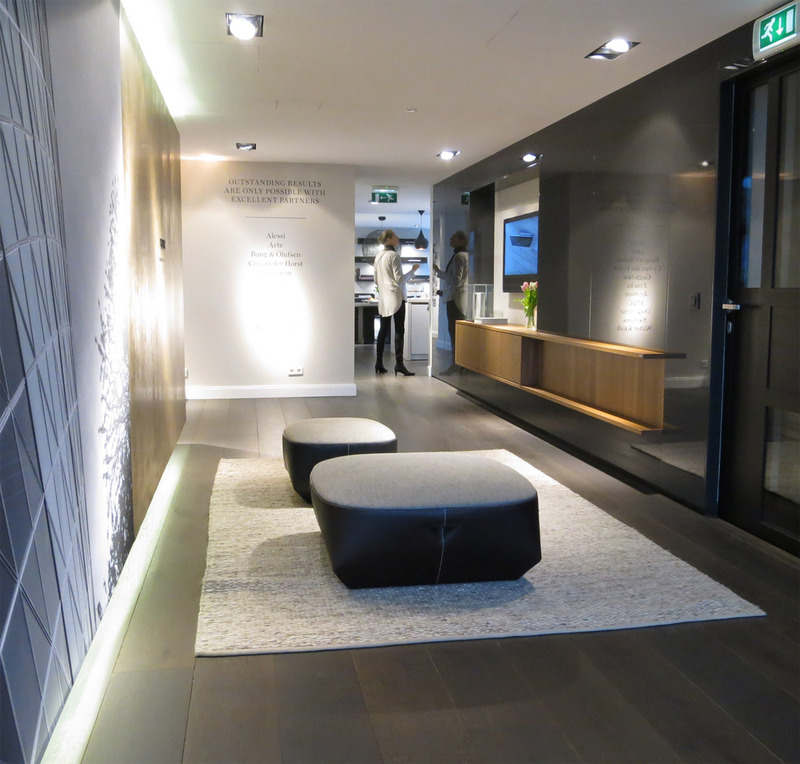 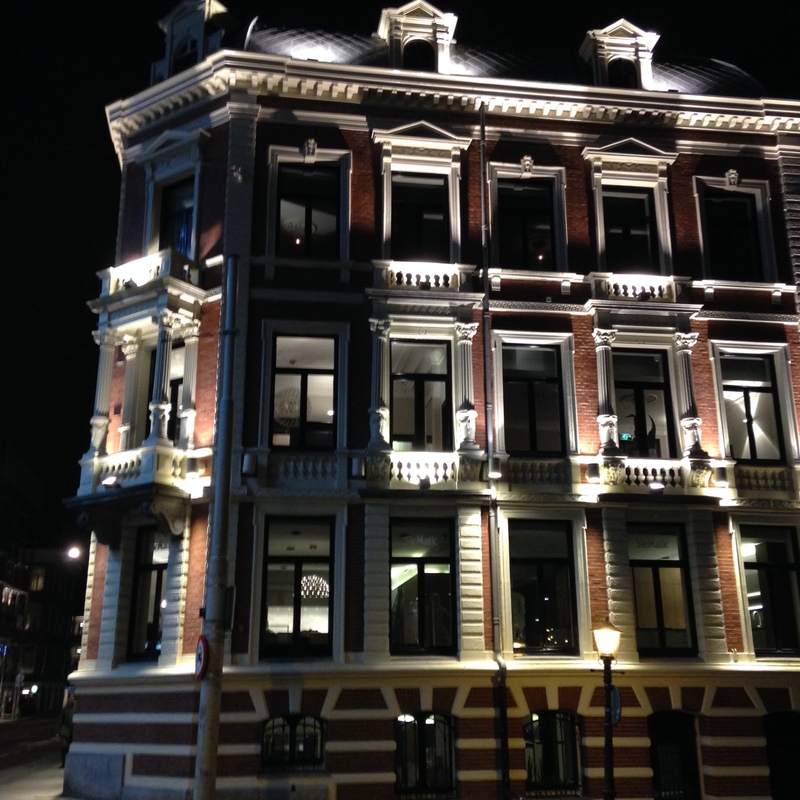 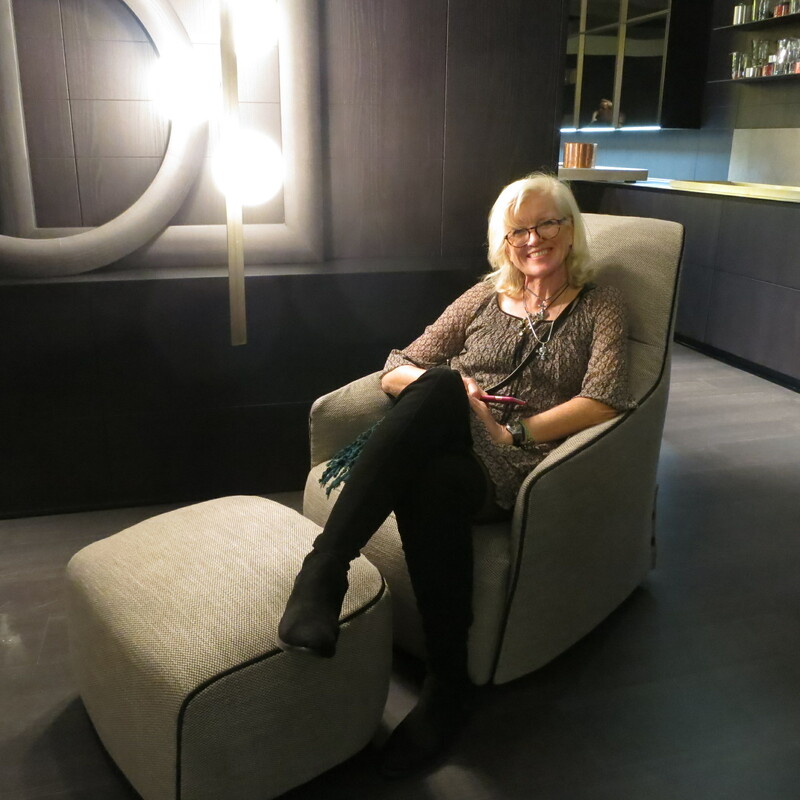 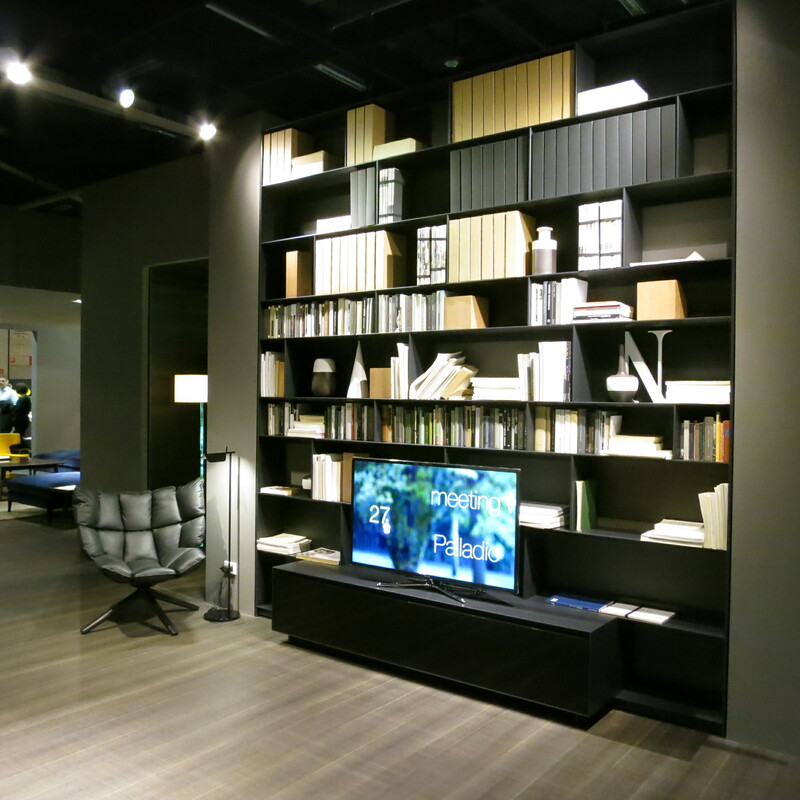 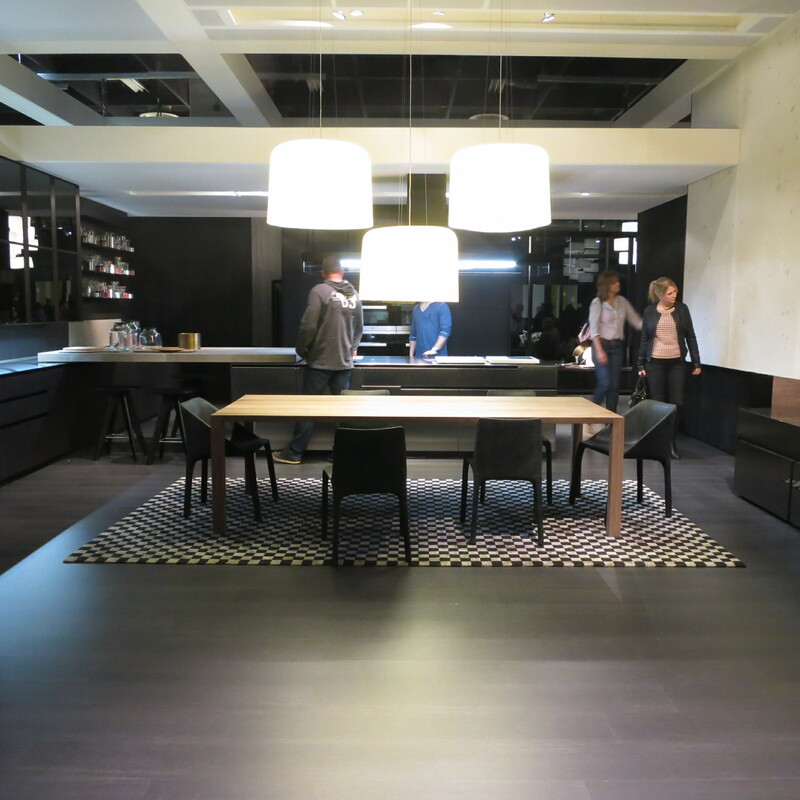 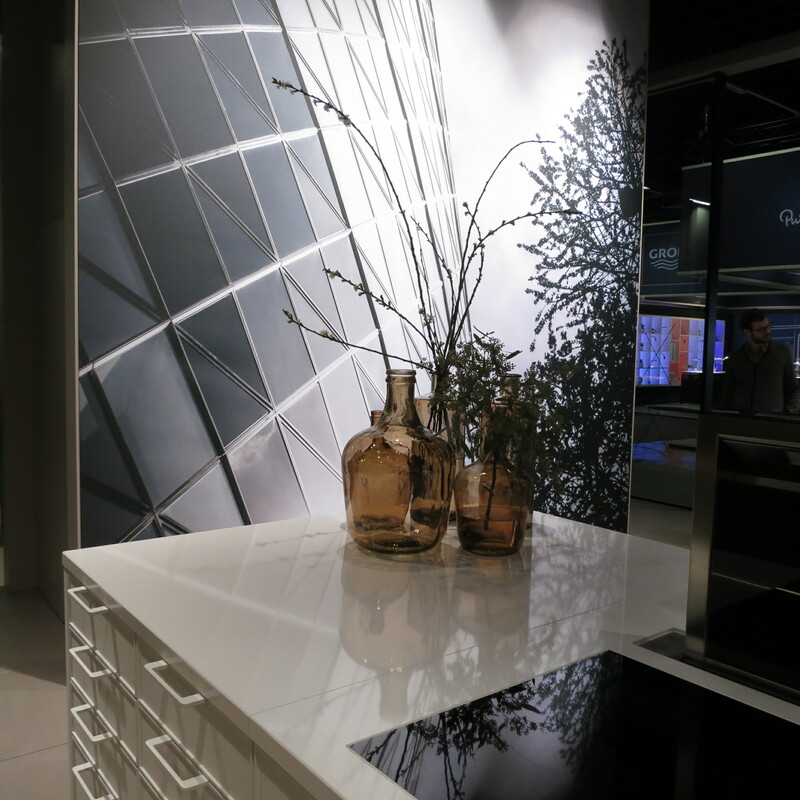 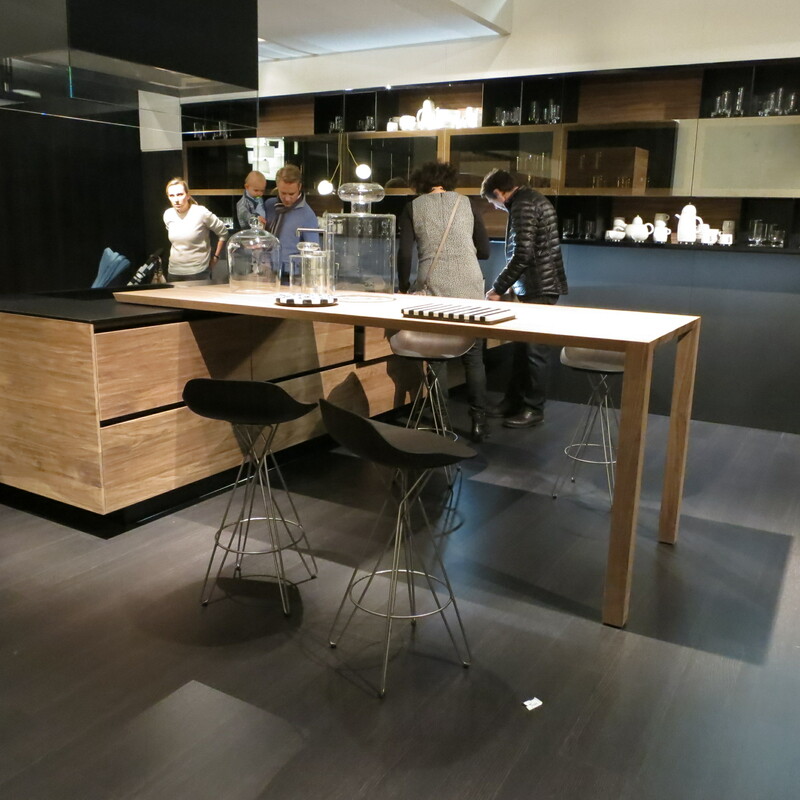 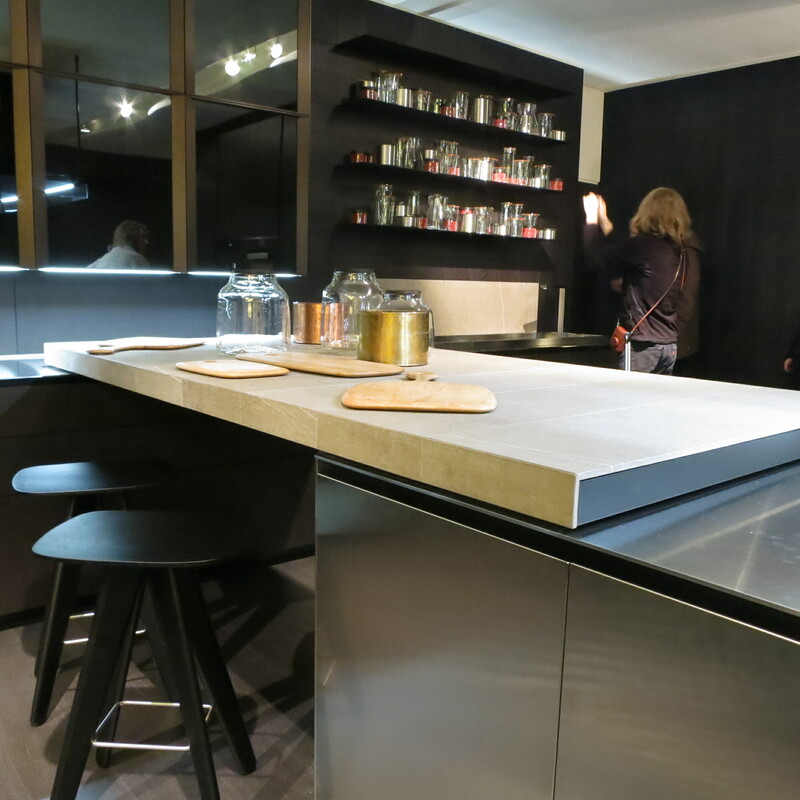 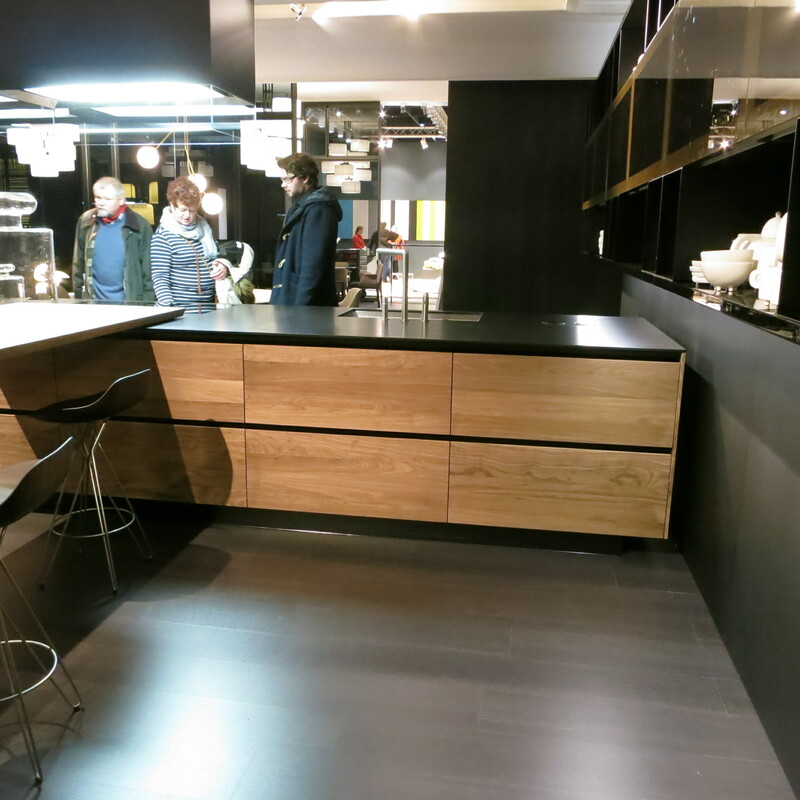 As part of a group of SieMatic dealers from North America, we also went to Amsterdam to see the company’s newest flagship showroom. 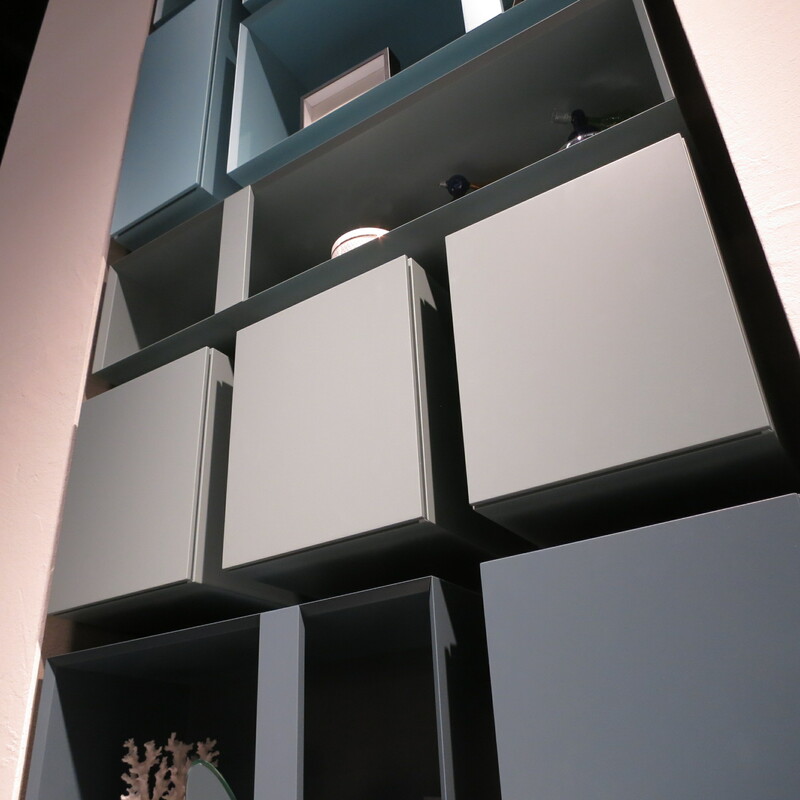 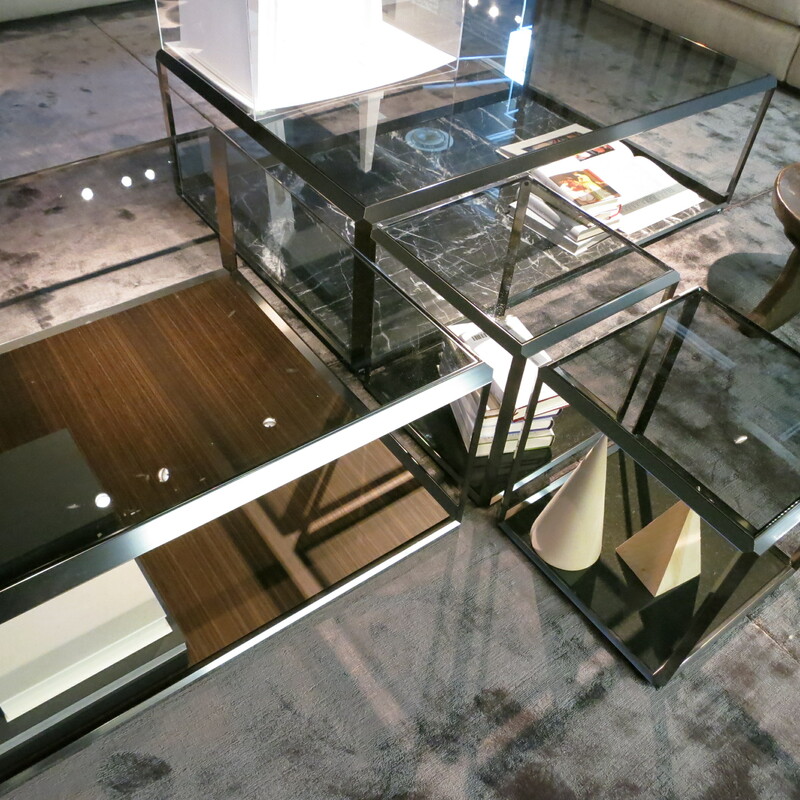 I’ll share some pictures of that wonderful installation in a future post; for now, here are some images from IMM. 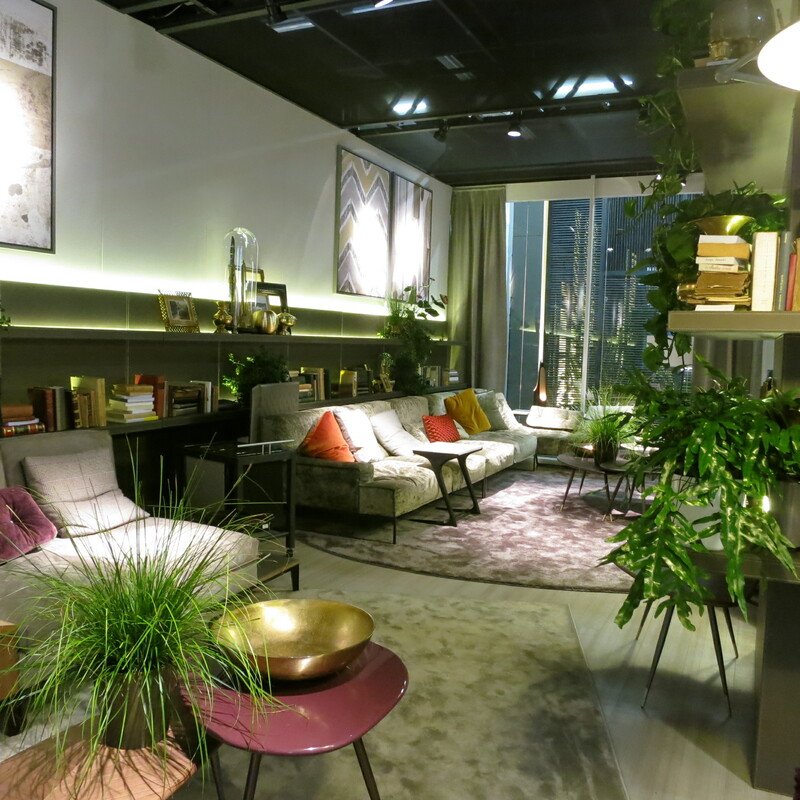 Starting with some living spaces, among the trends I saw were 1970’s influences and softer, feminine colorways. 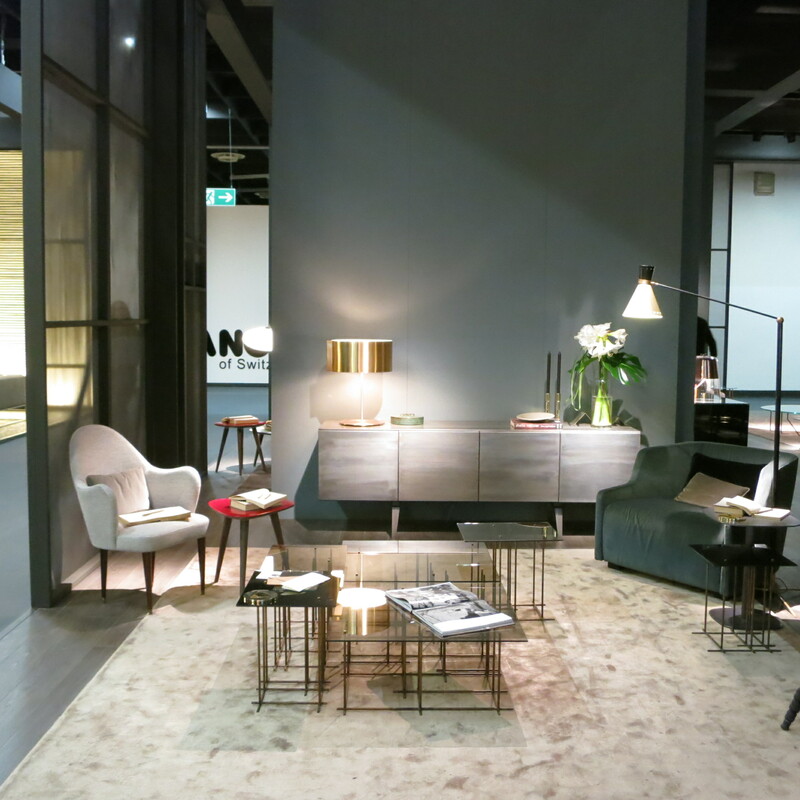 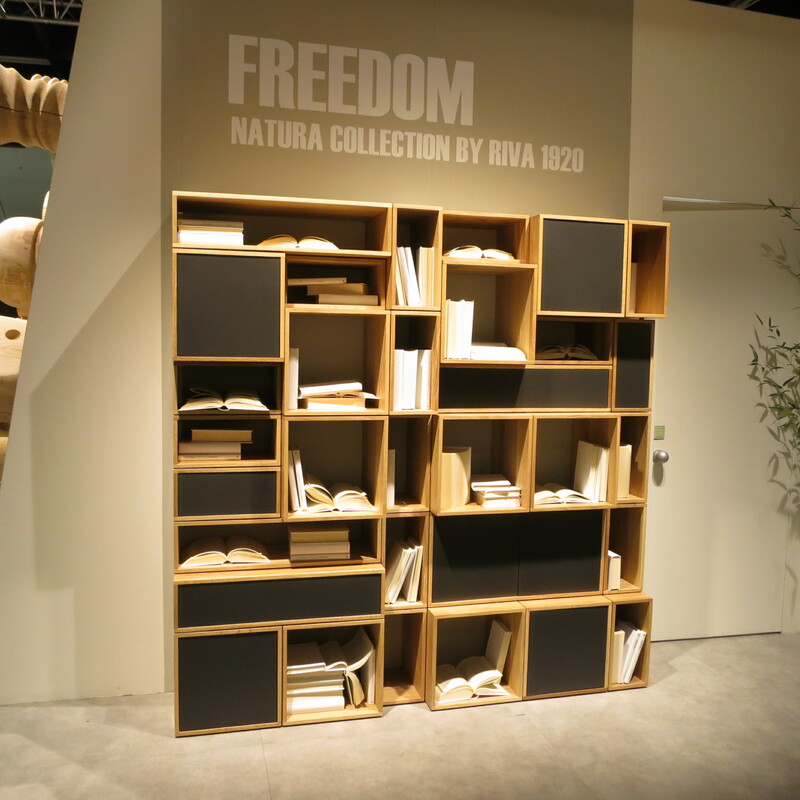 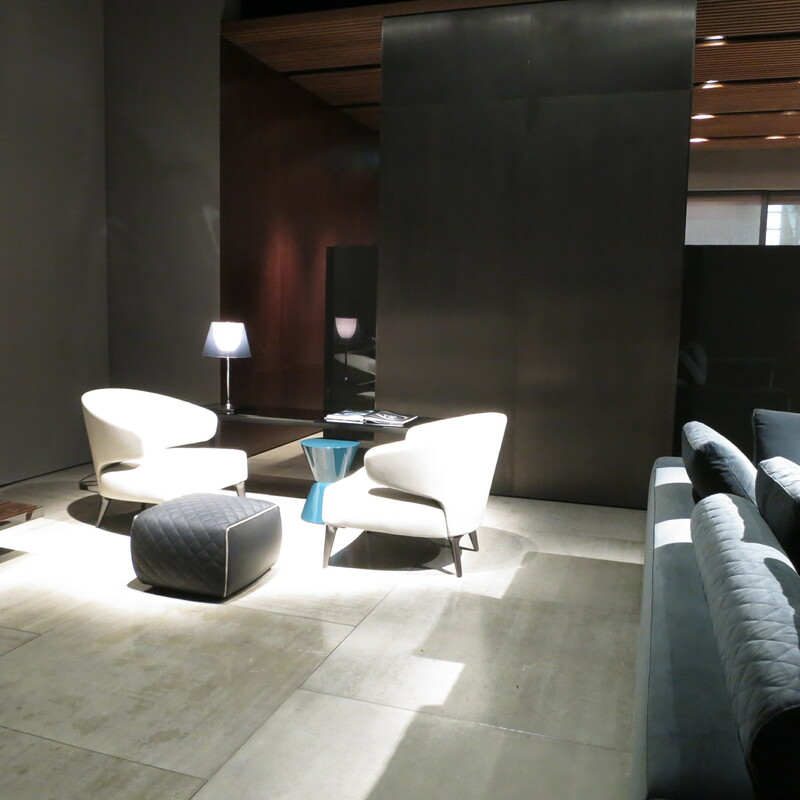 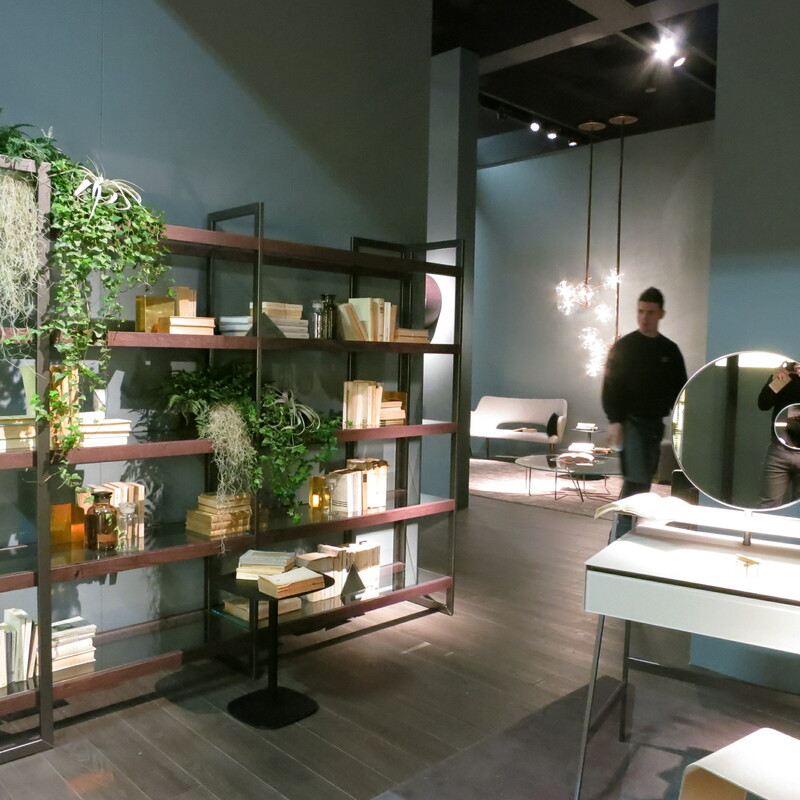 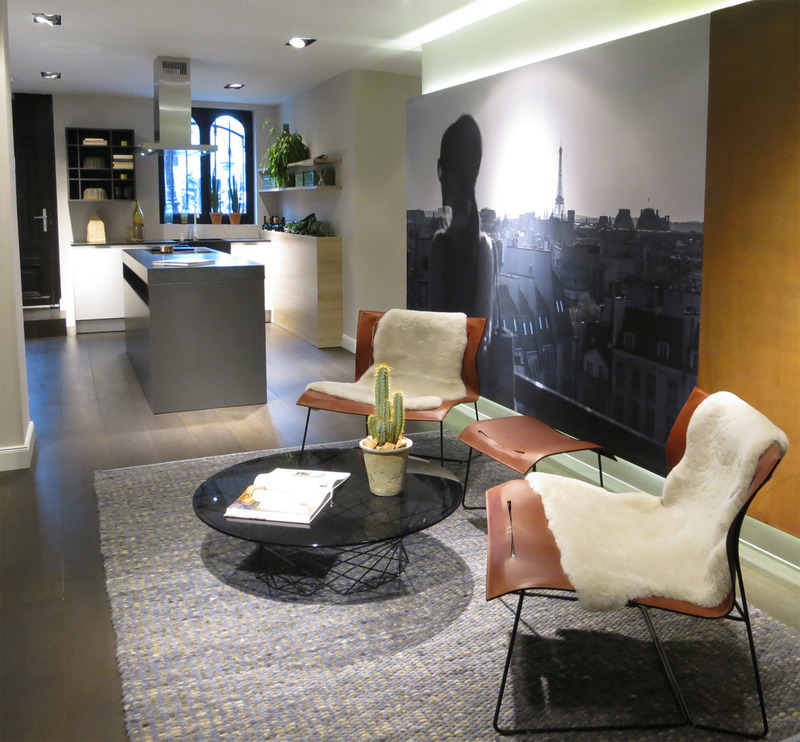 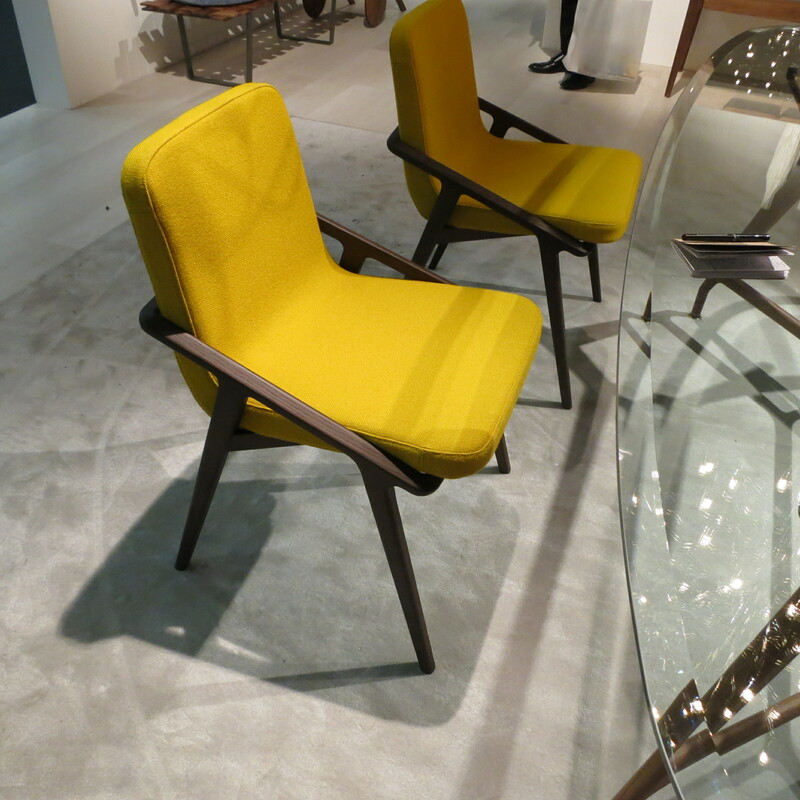 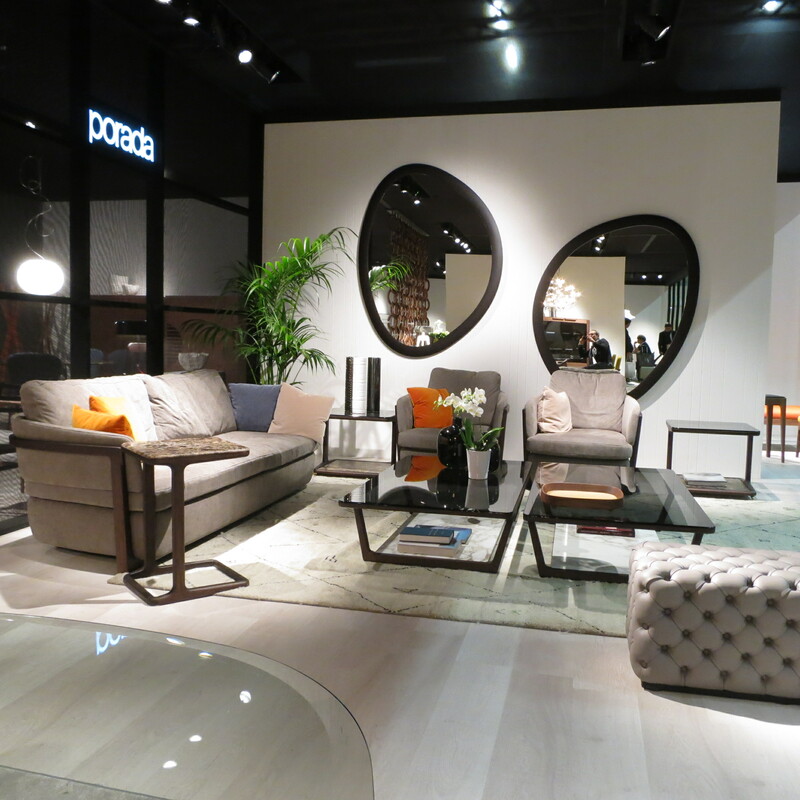 Although many companies are still working in a minimalist vein, there were lots of eclectic ensembles mixing style, colors, textures, gathered and otherwise complex upholstery treatments and interesting accessories. 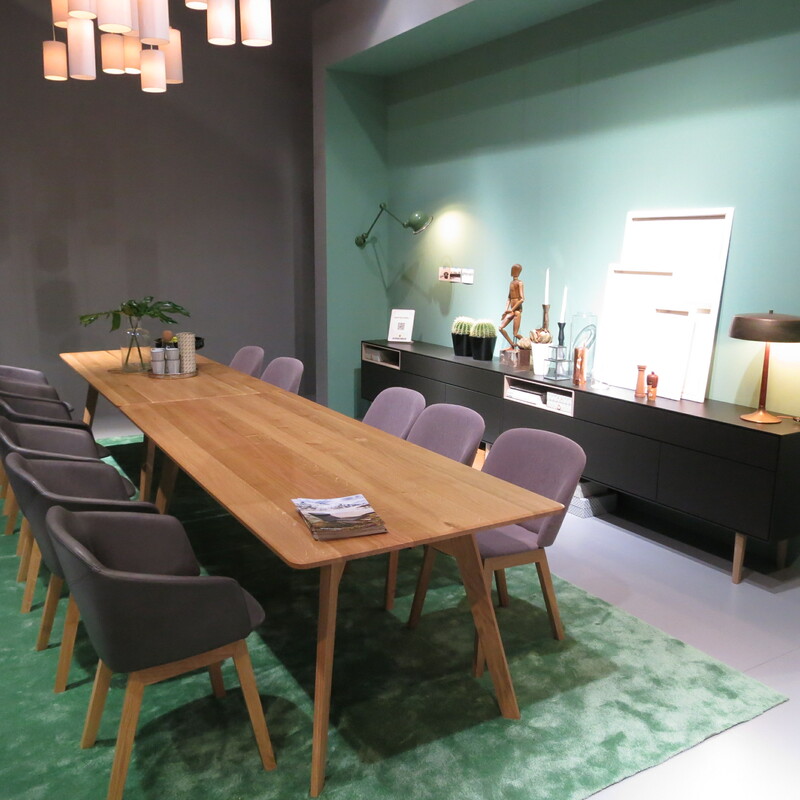 This dining set had a very 1970’s vibe to it, with curved cushions, glass top table and organically-curved woodwork. 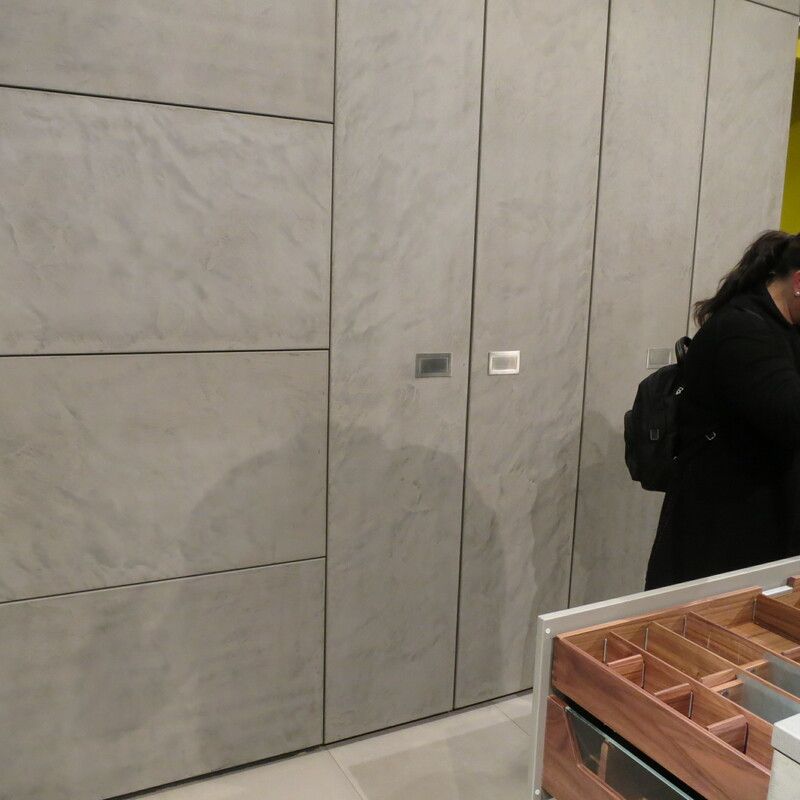 Also in use were gold and brass tones, a trend we have been talking about for the better part of a decade. 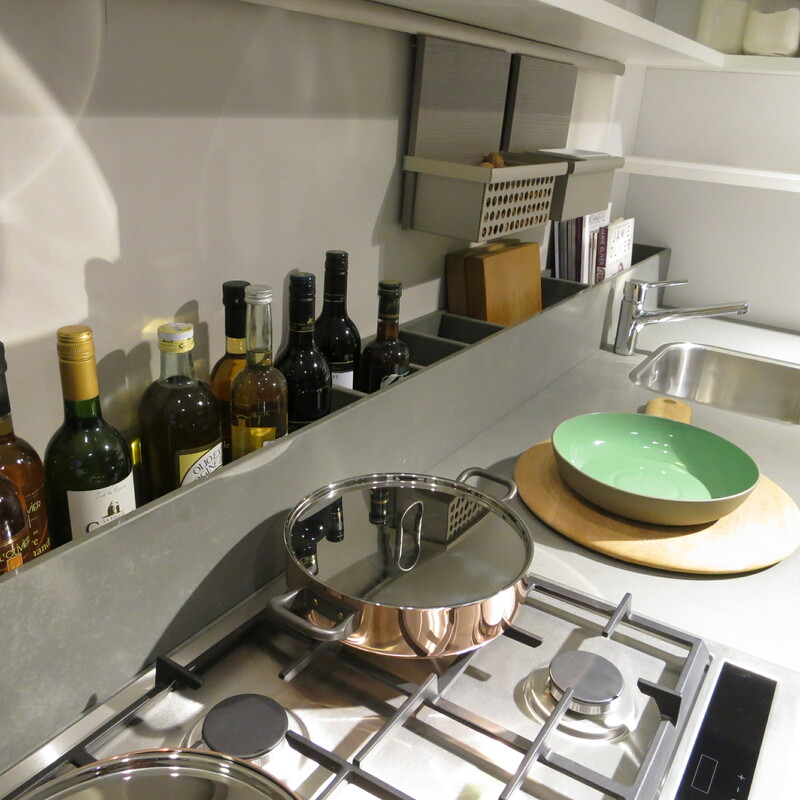 Every year more and more brass is seen and it still feels very fresh and underused. 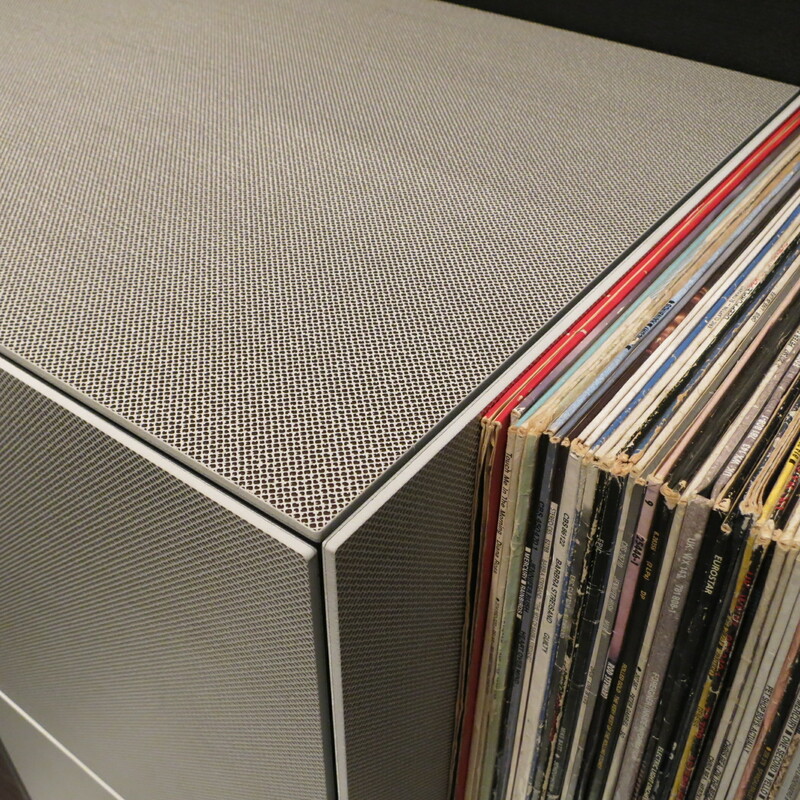 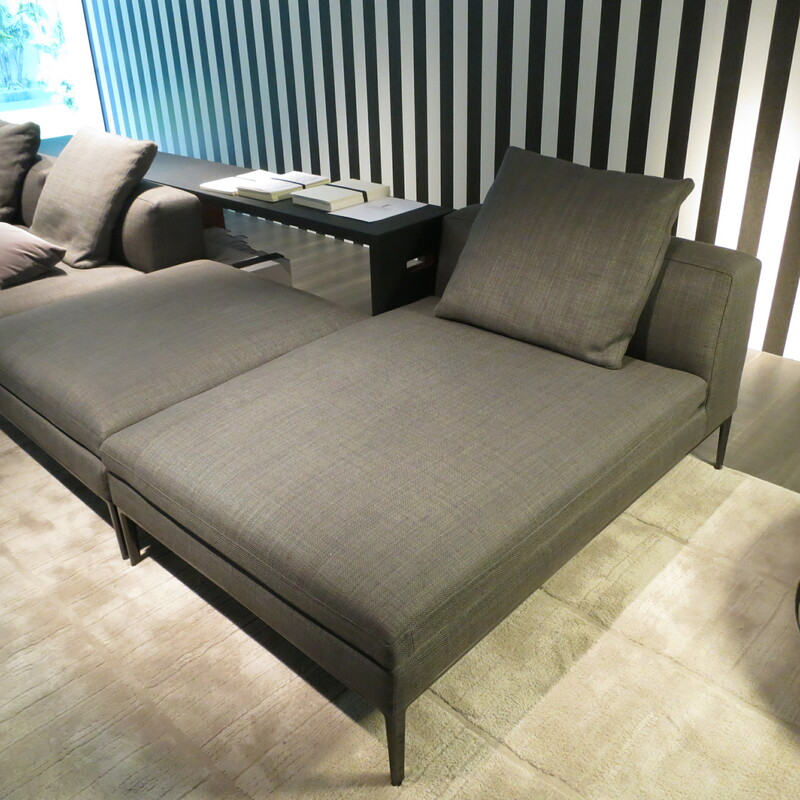 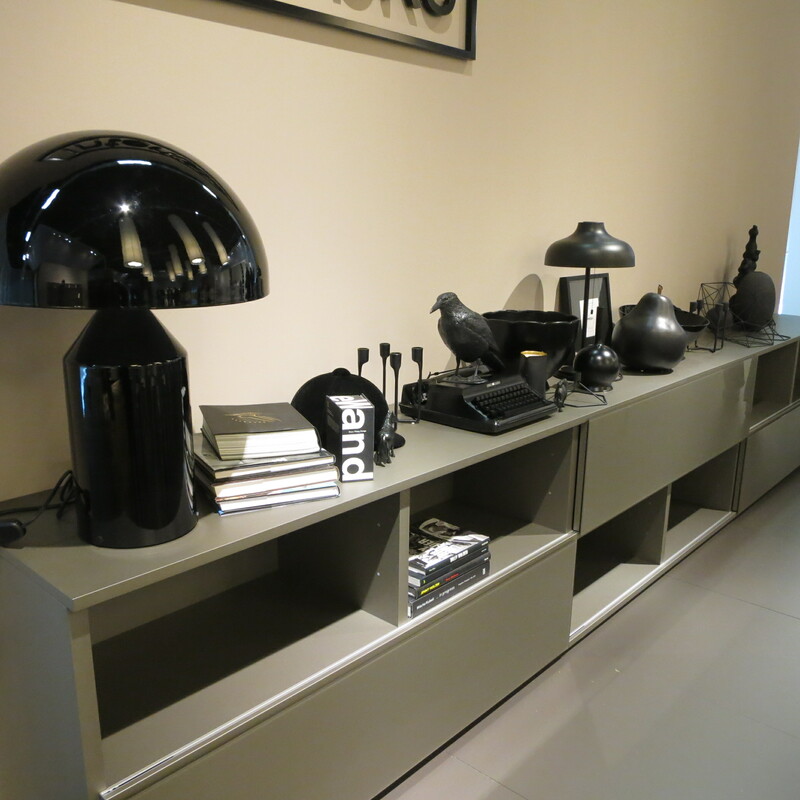 Greys are presently the “it” tone in European design. 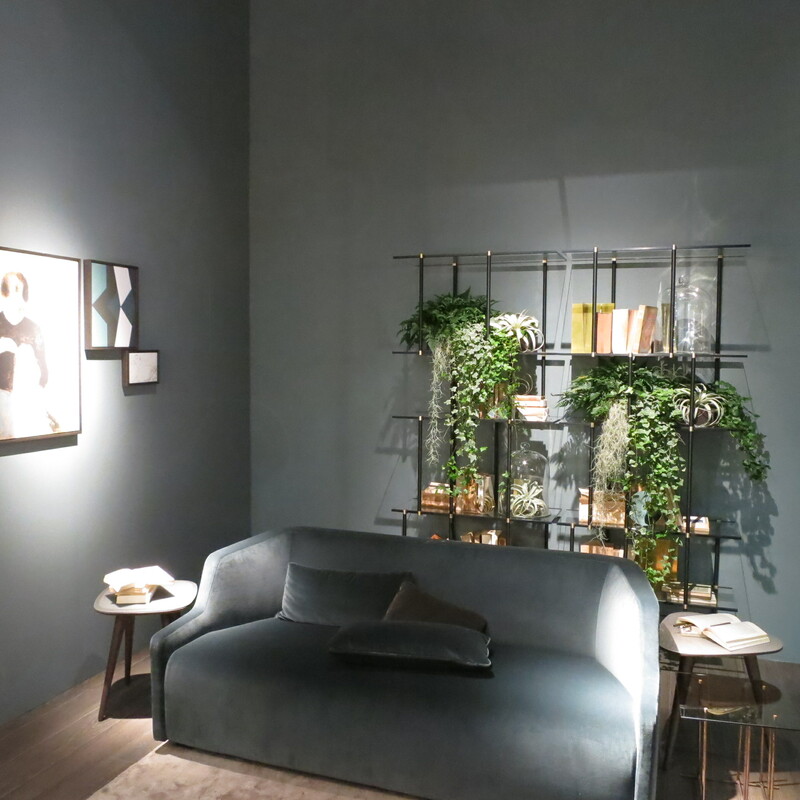 Although there were many masculine presentations throughout the halls, as mentioned above a feminine touch is frequently felt through accessories, color accents and great fabrics. 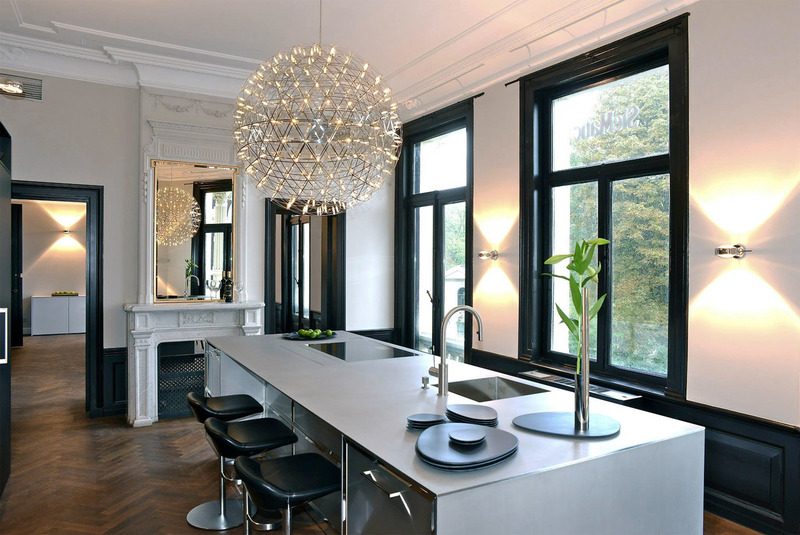 Notice the tufting below. 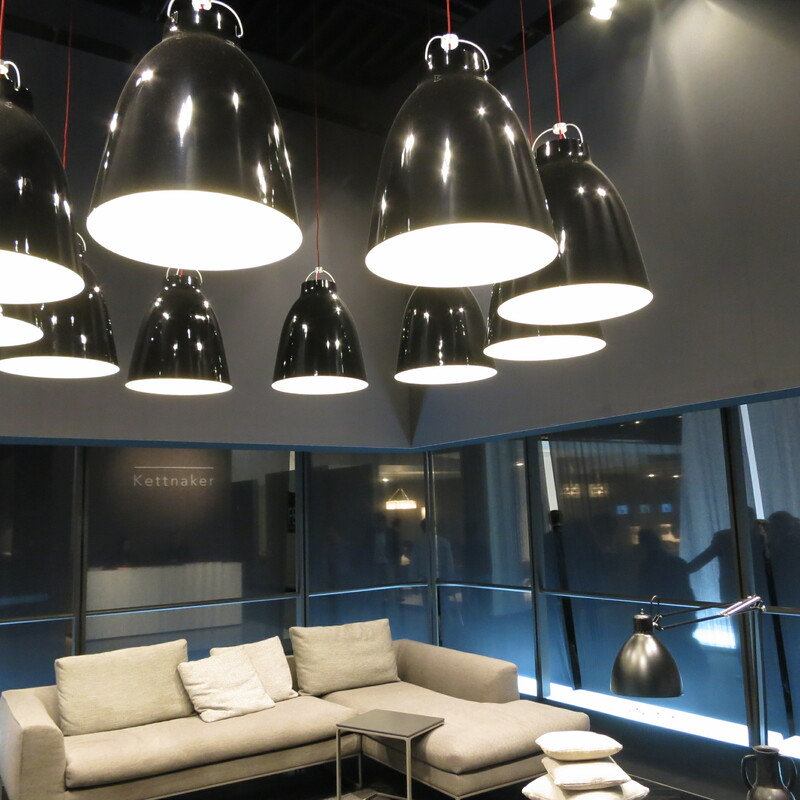 The ceiling treatment at Cor, a German company, were very inventive. 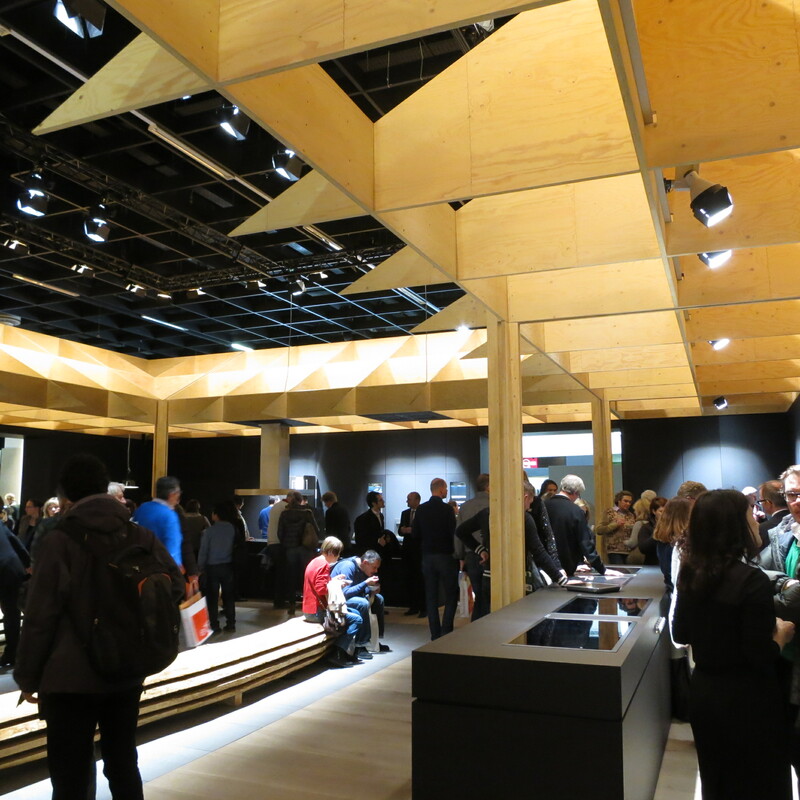 Each living ensemble had an individual deep ceiling with creative arrays of lighting. 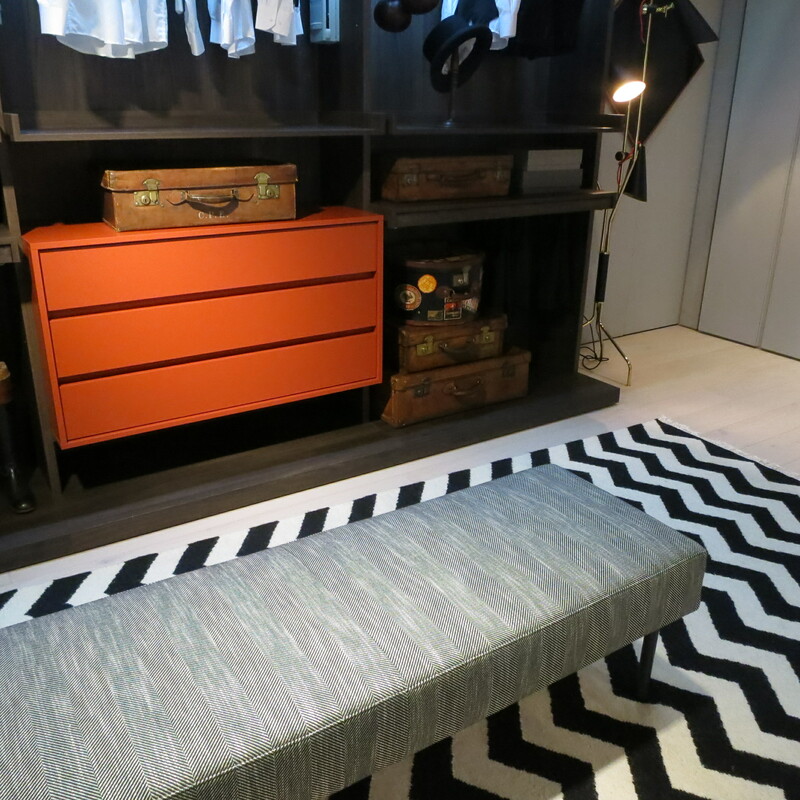 Another trend was the use of black and white pattern, such as dots, hounds tooth and the like. 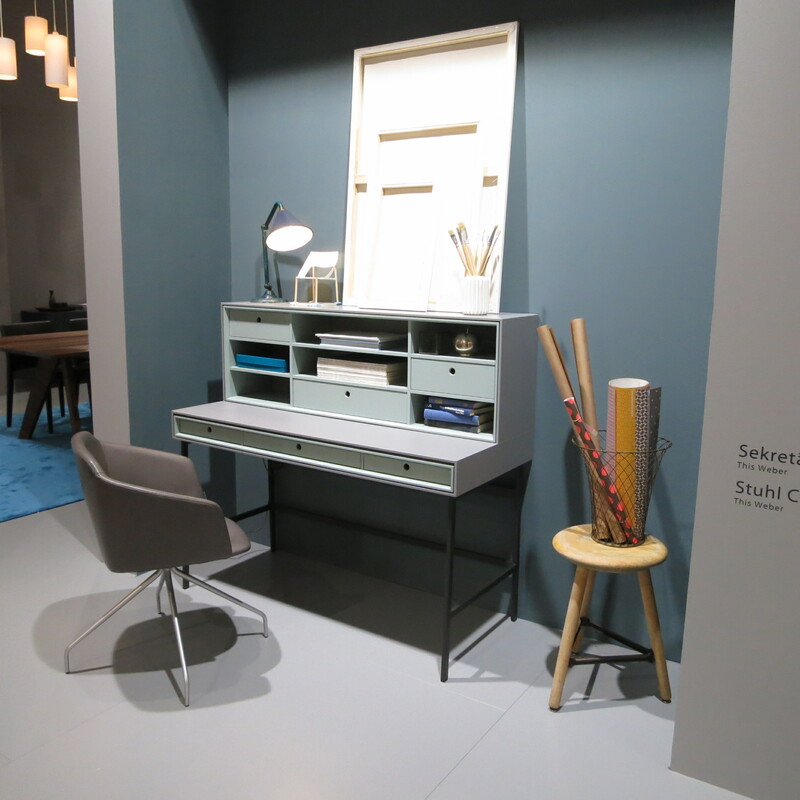 Readers who have been at the design game for a few decades may recognize this palette from the late ’70s and into the 1980s. 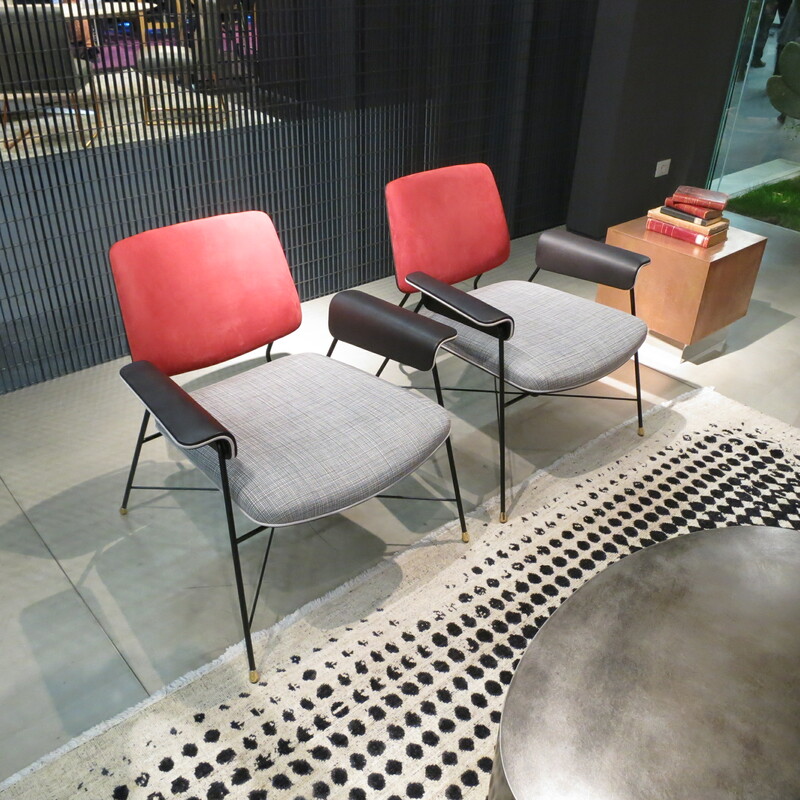 This pair of chairs below reminds me of the old TGV train interiors, which had black and white striped chairs with a red carpet and window curtains. 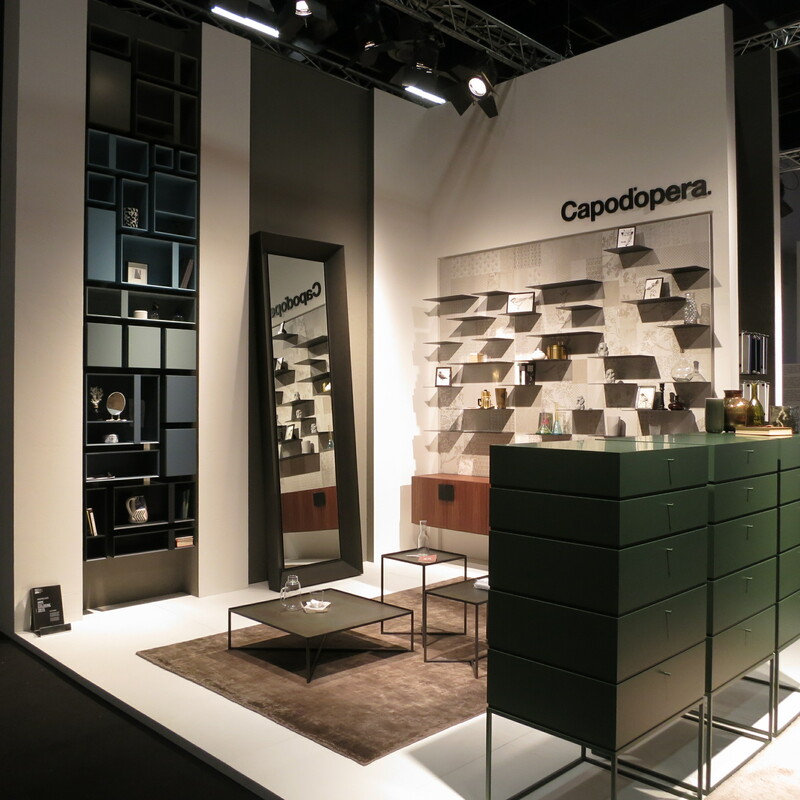 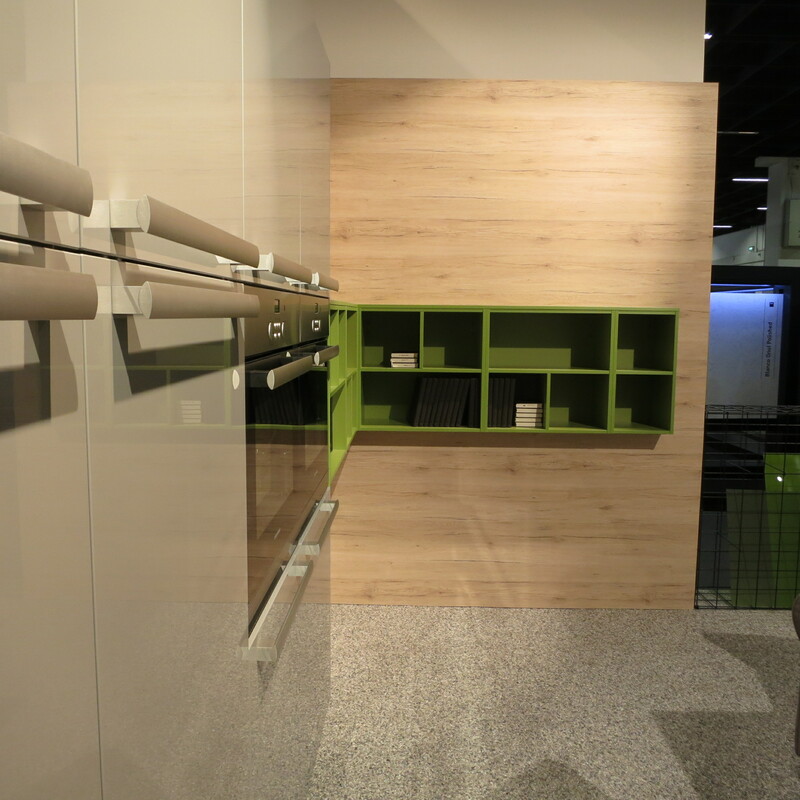 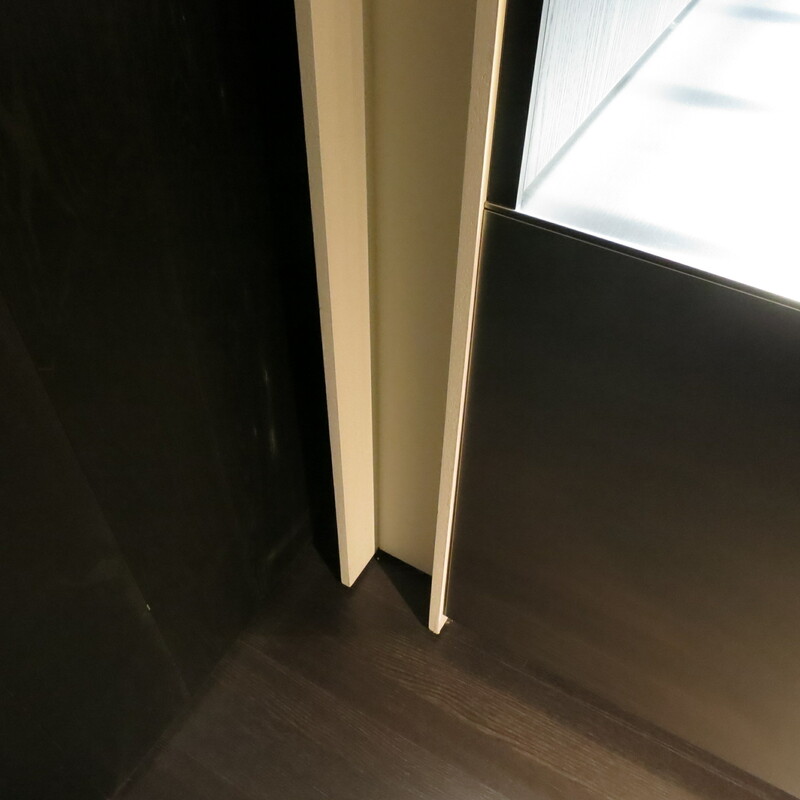 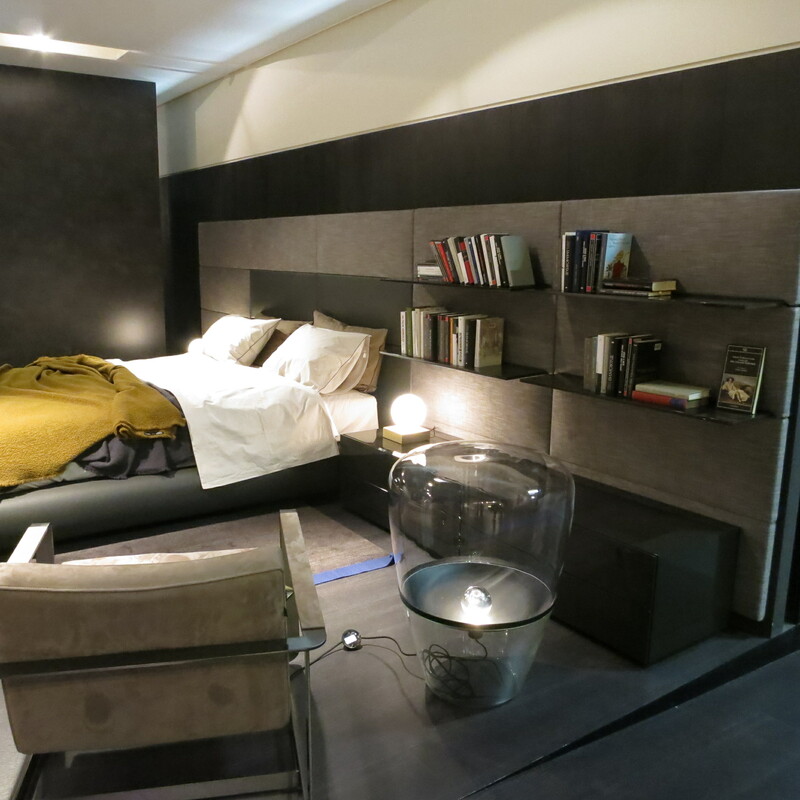 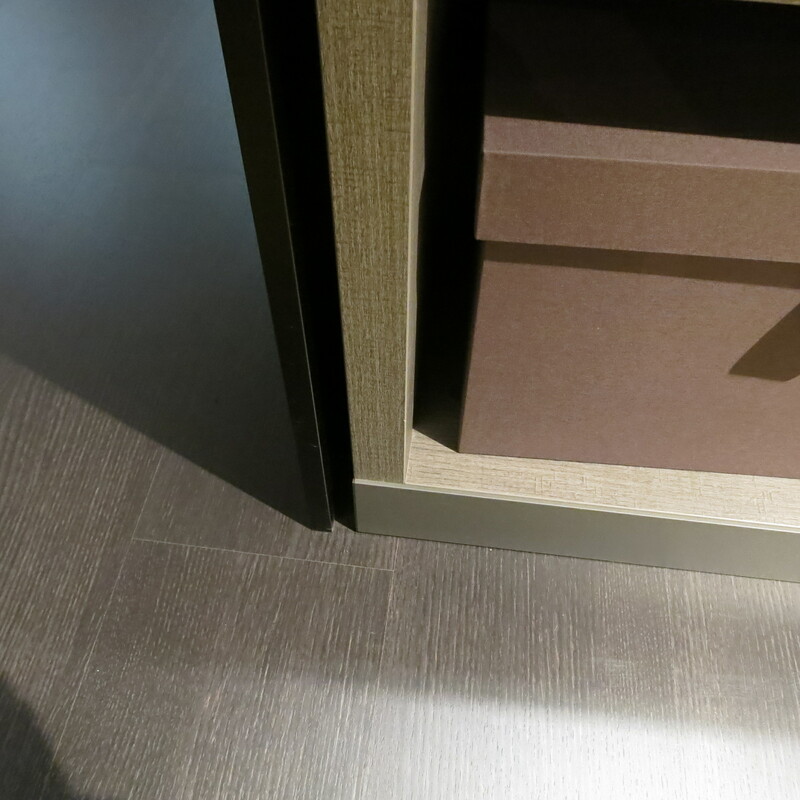 This closet environment at Poliform shows a great ziggurat carpet in black and white, as well as other fabulous details in casework and accessory placement. 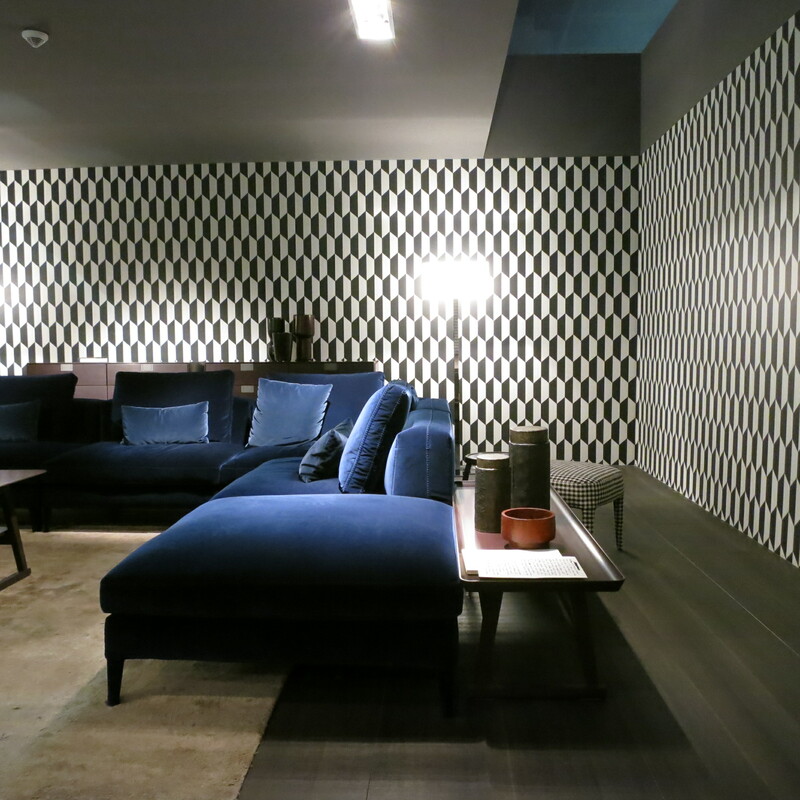 Great wallpaper mixed in with a lovely plush fabric at B&B Italia. 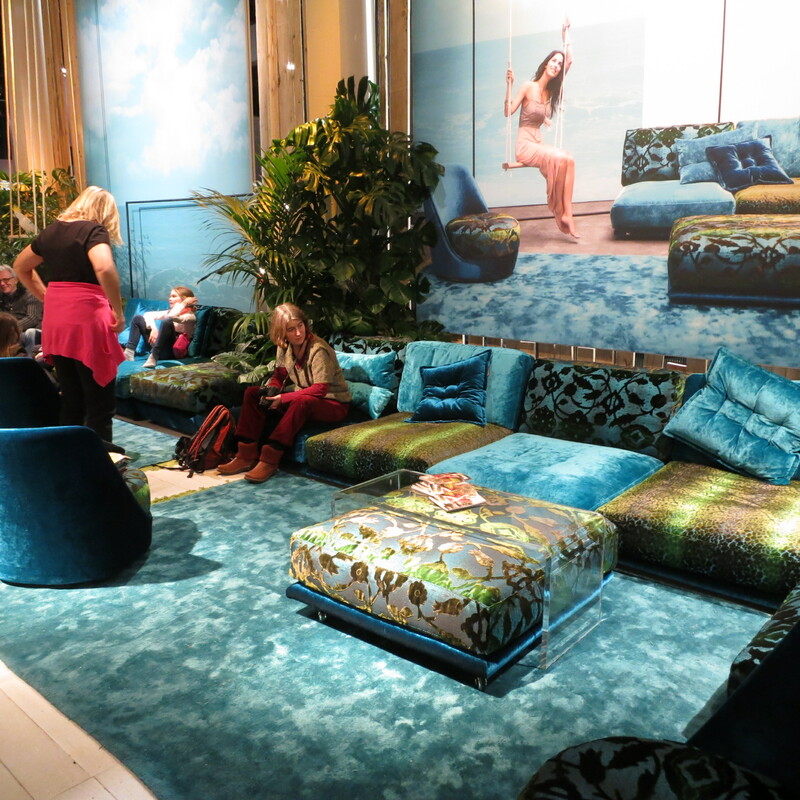 And for something a bit different, this bohemian tropical luxury look had many admirers. 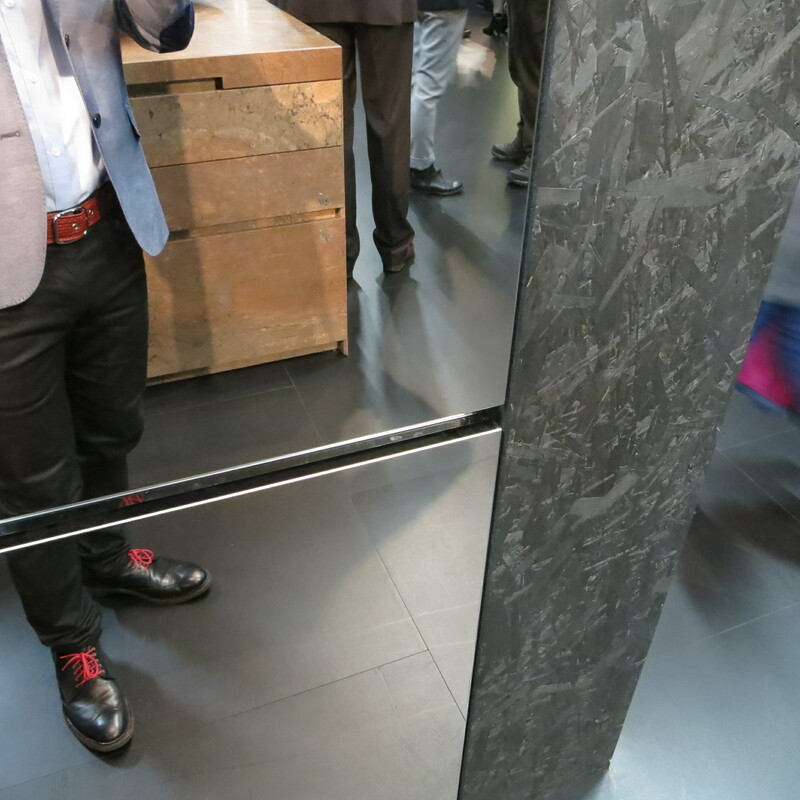 I forgot to write down the company in my notebook, but this was not a completely isolated look, as many other makers indulged in such comfy-casual presentations. 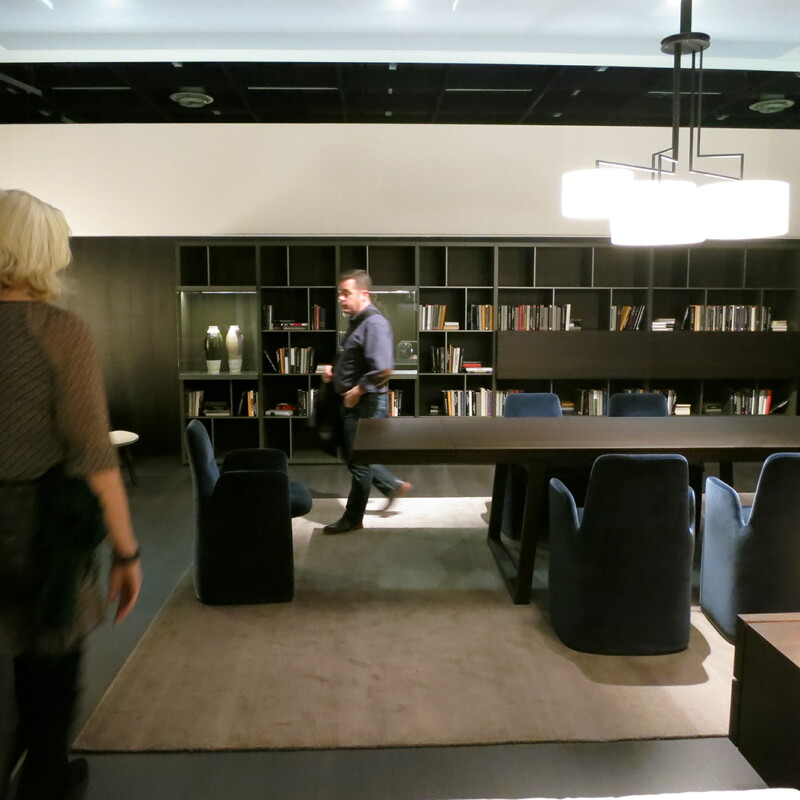 This is a good place to break, so I can pick up on more individual and eclectic furnishings and accessories in the next installment. 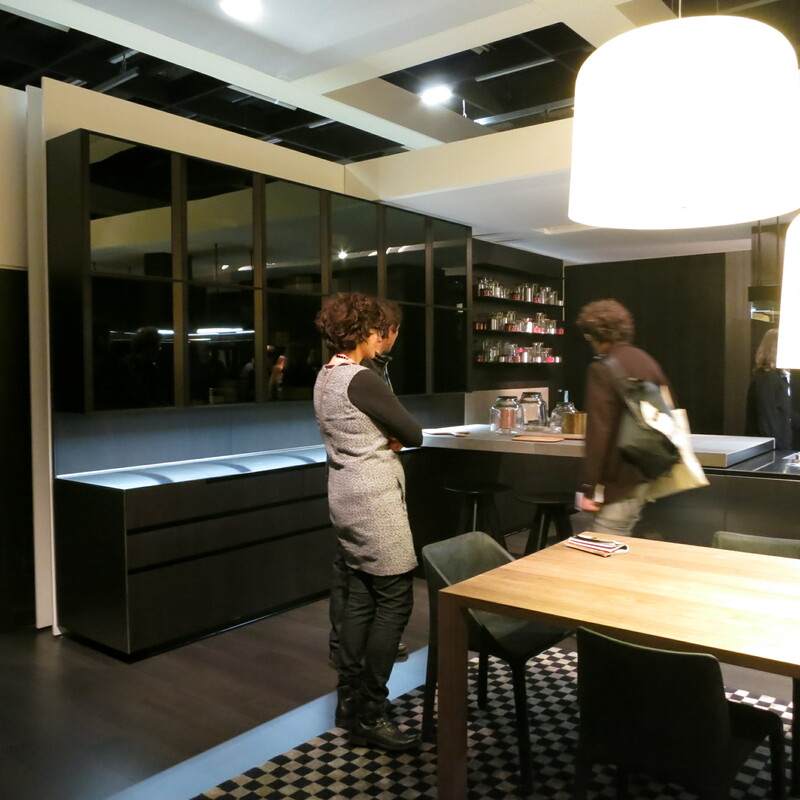 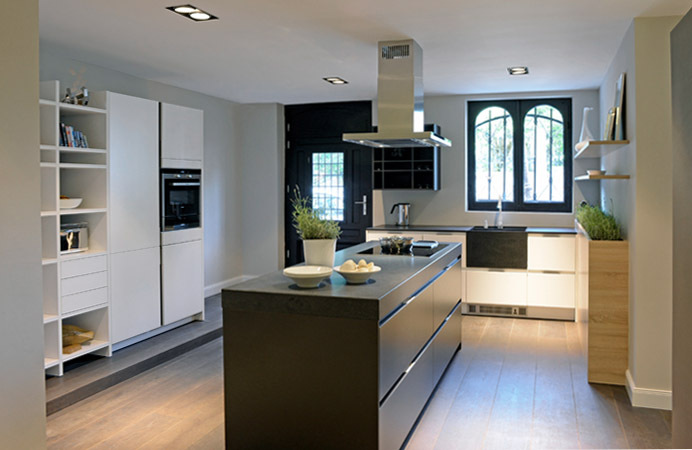 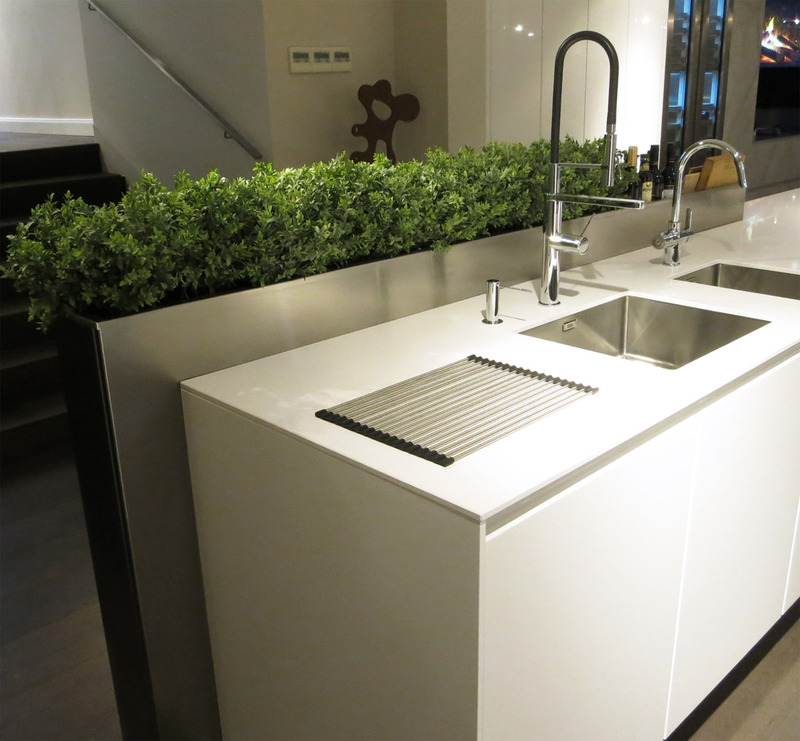 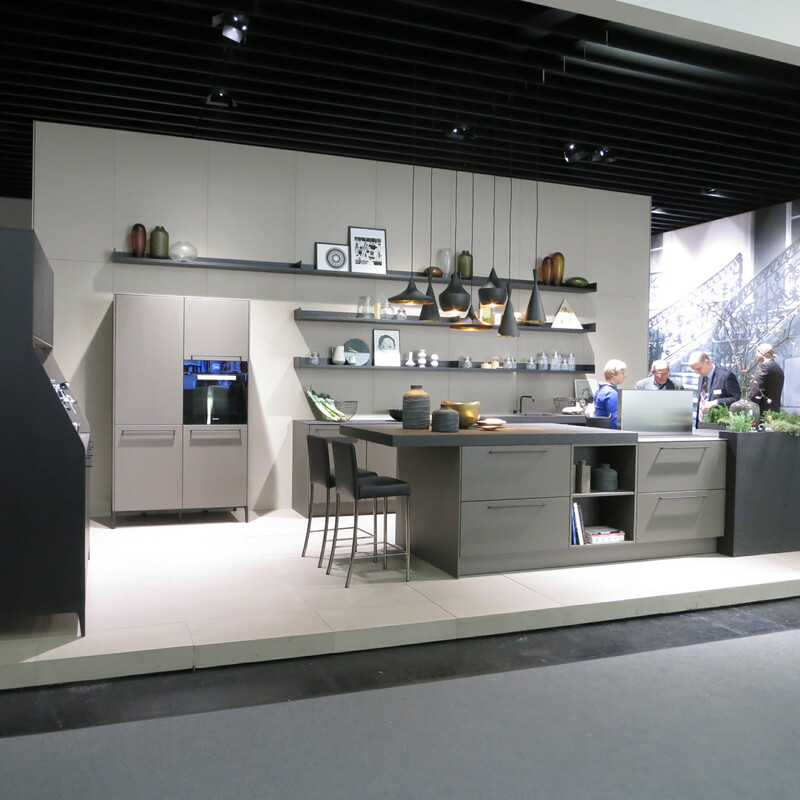 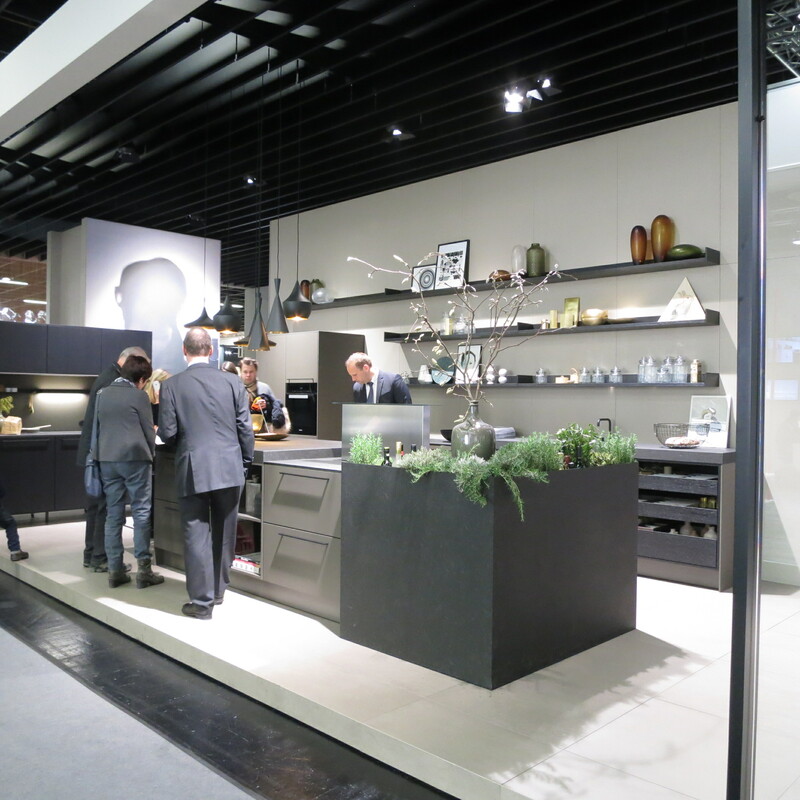 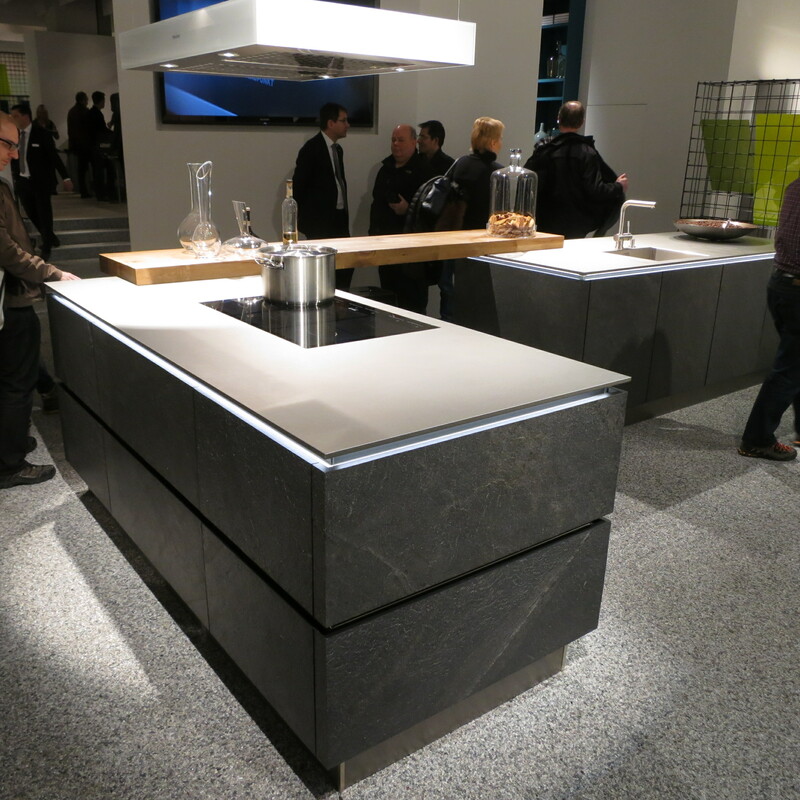 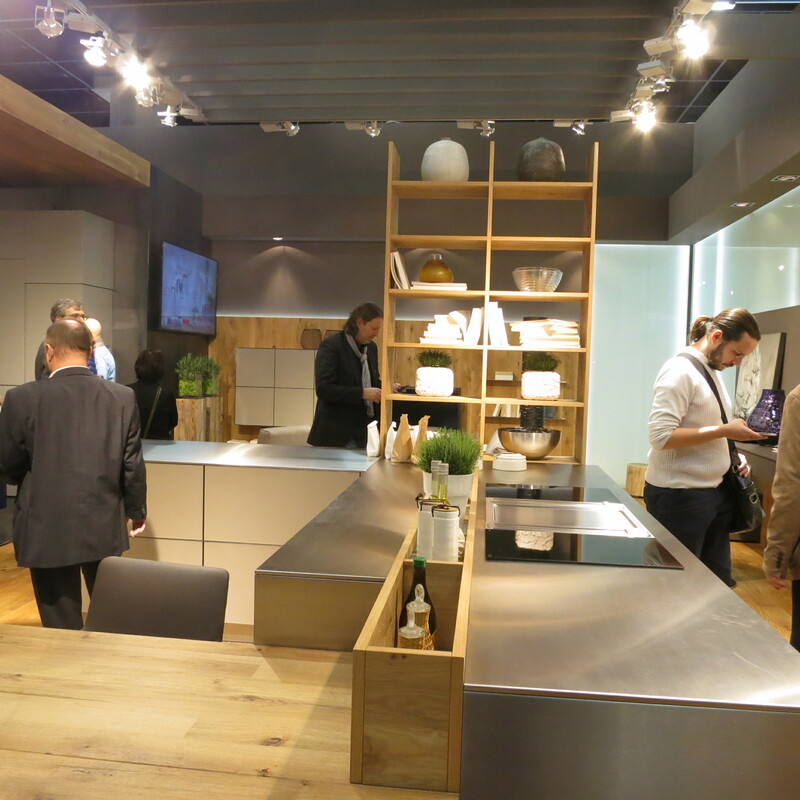 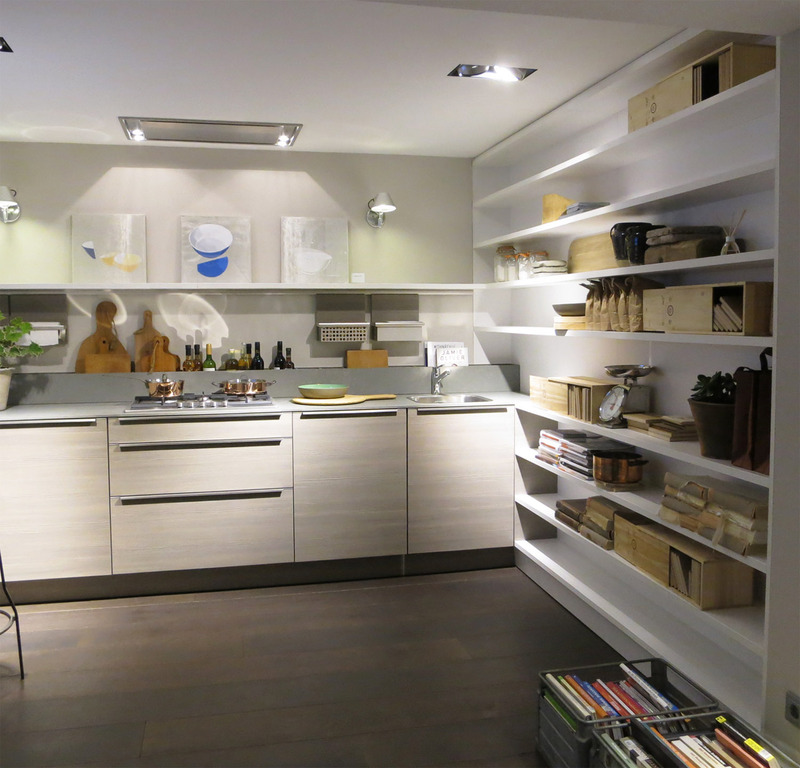 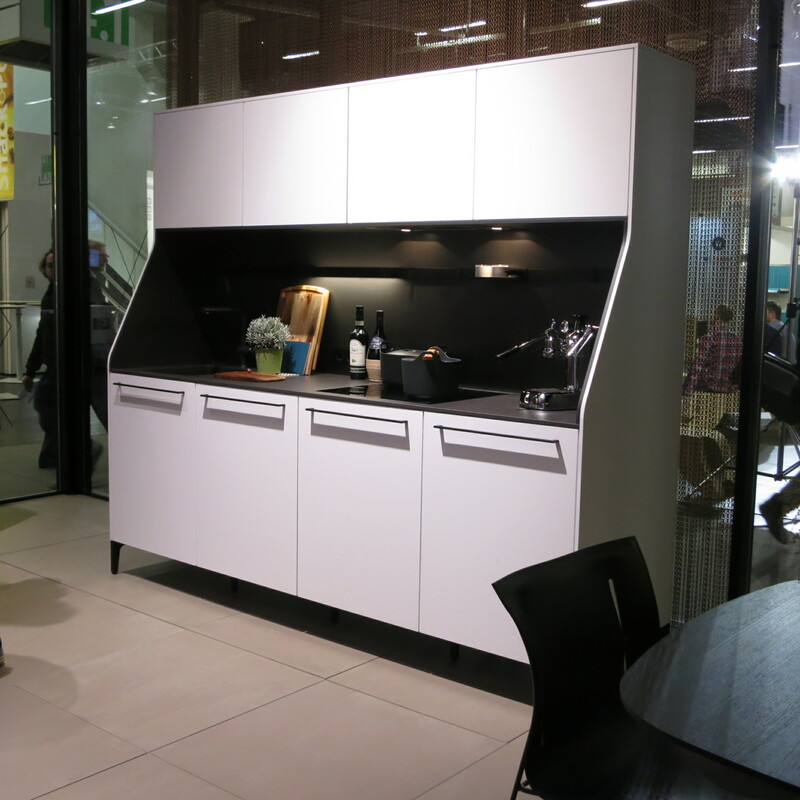 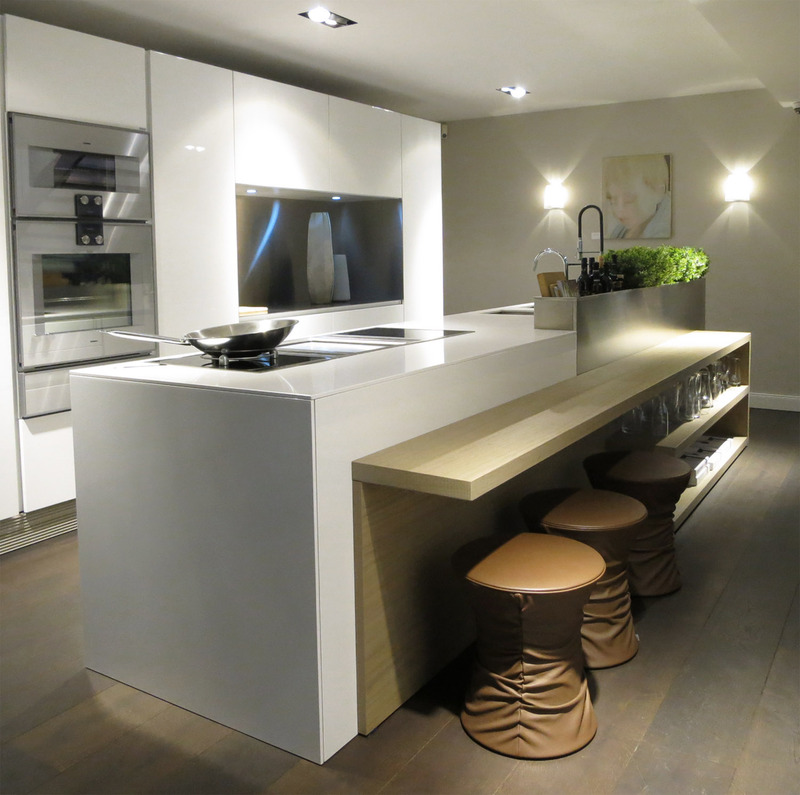 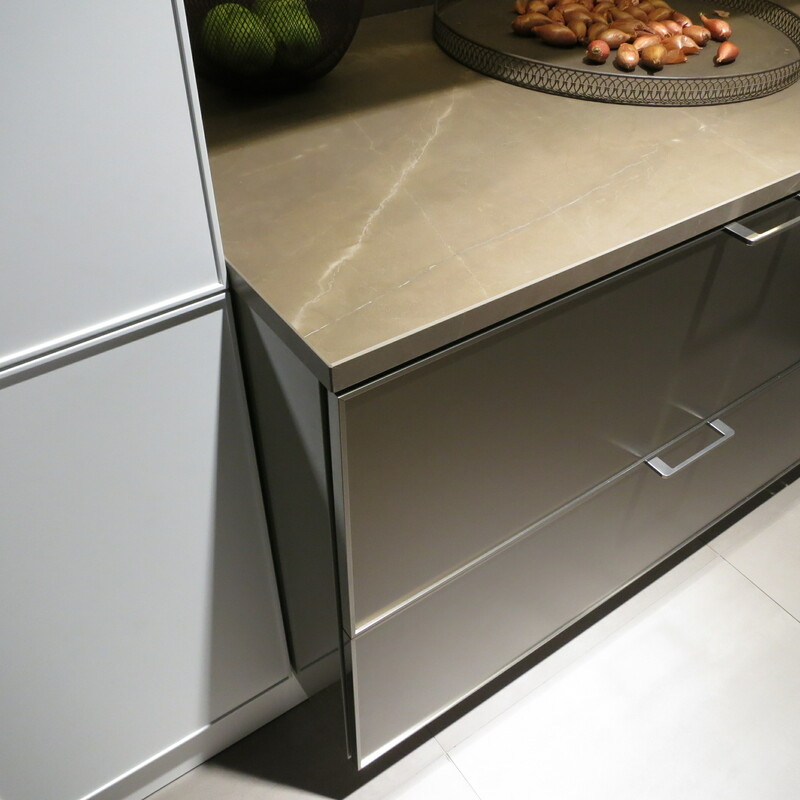 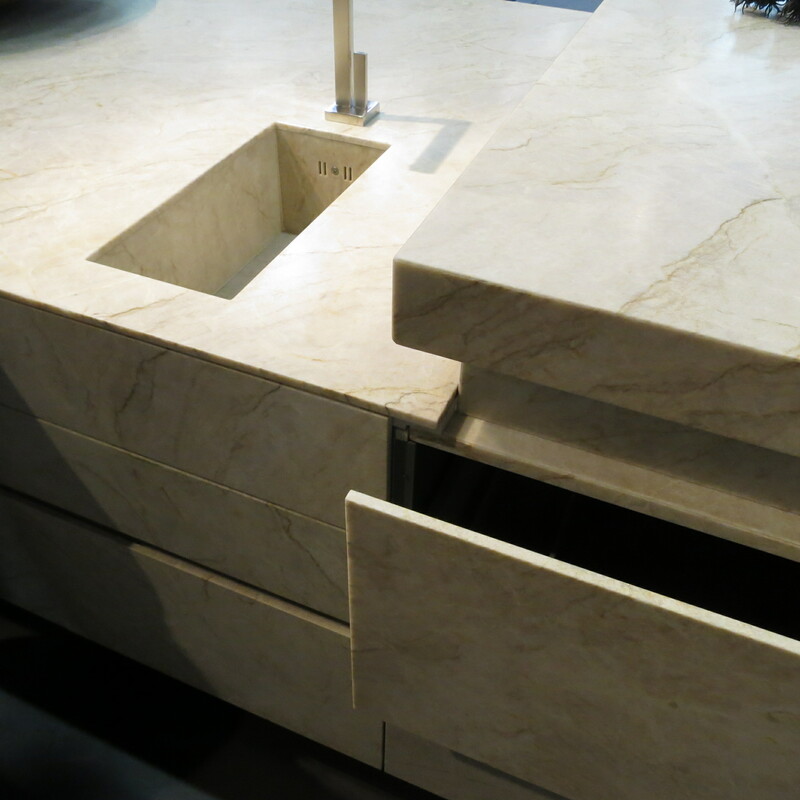 And of course, also coming up with be kitchens as well, including all of SieMatic’s new collections.